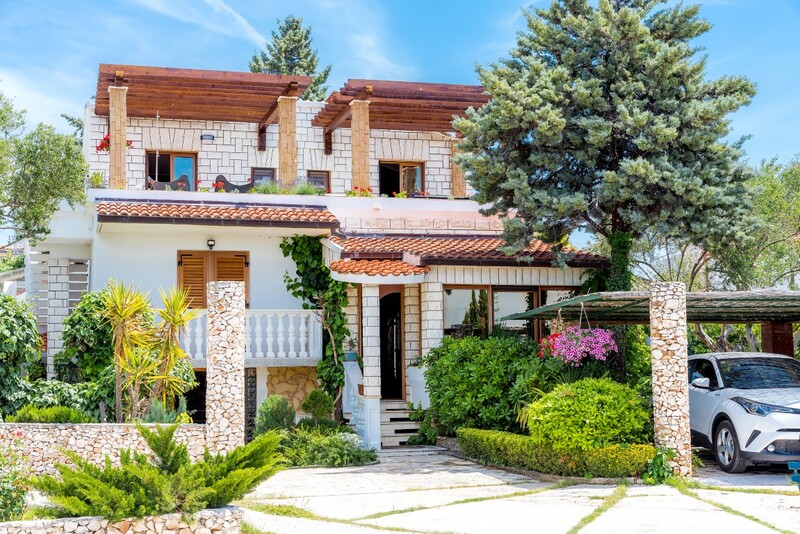 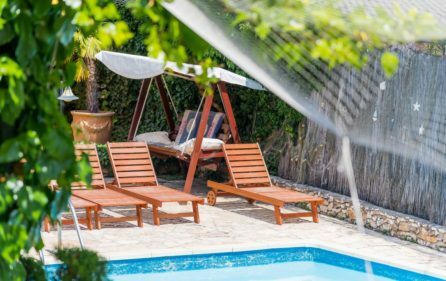 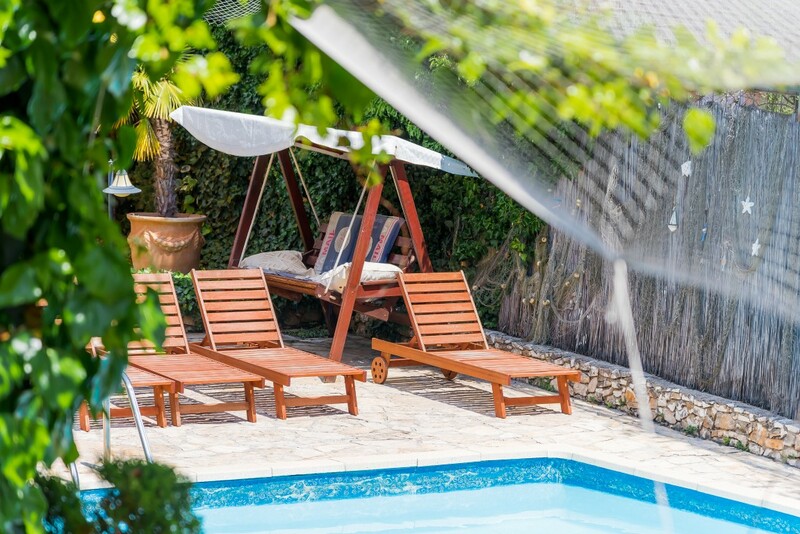 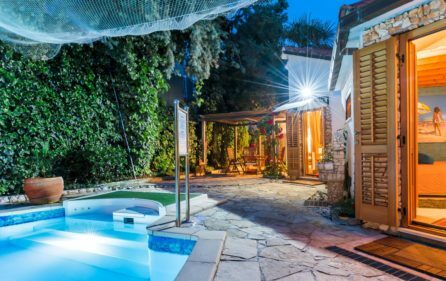 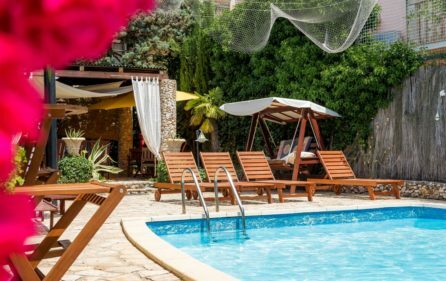 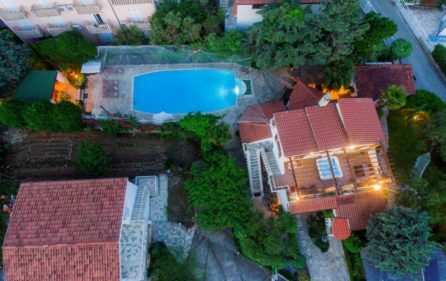 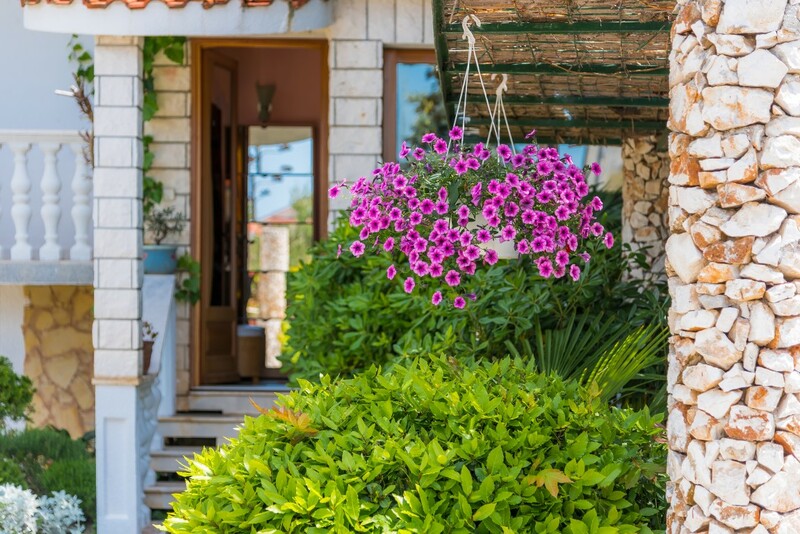 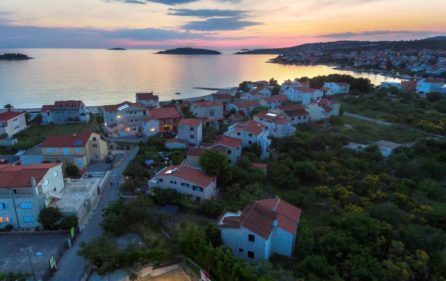 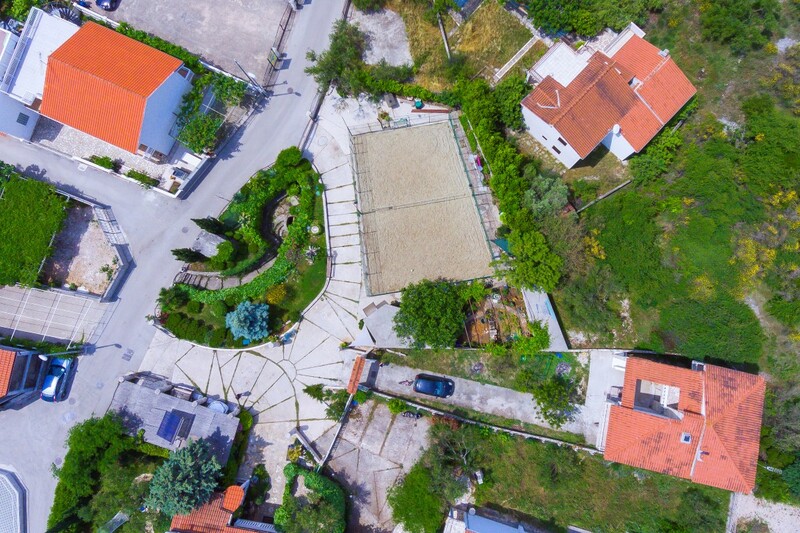 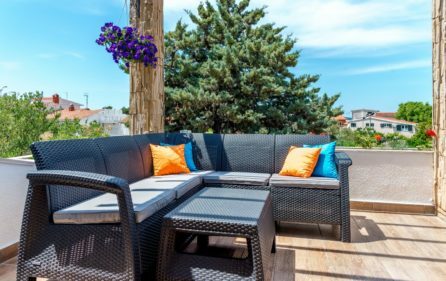 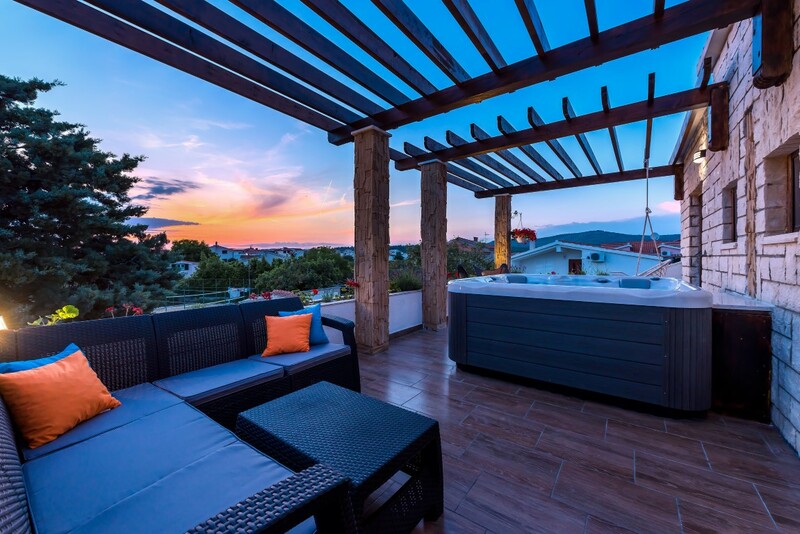 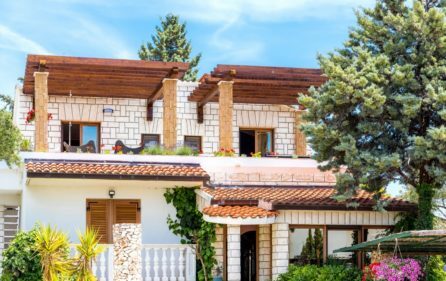 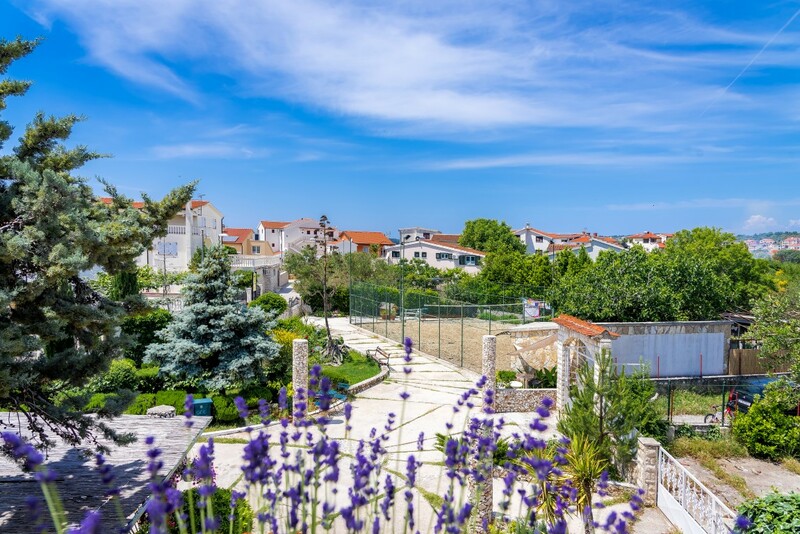 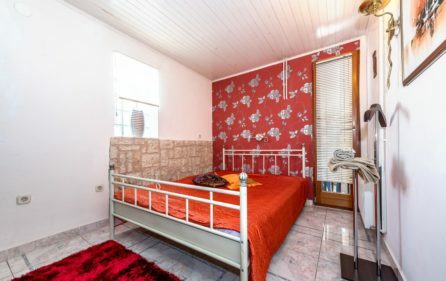 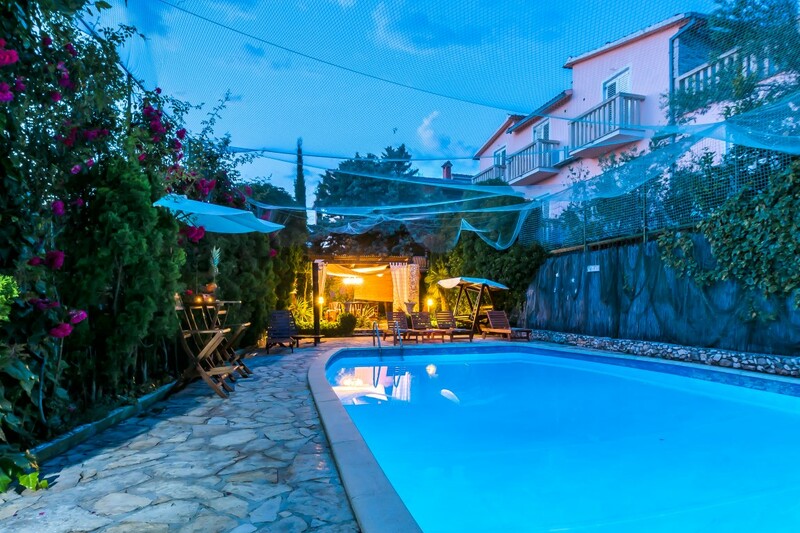 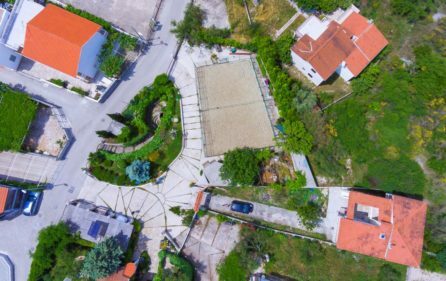 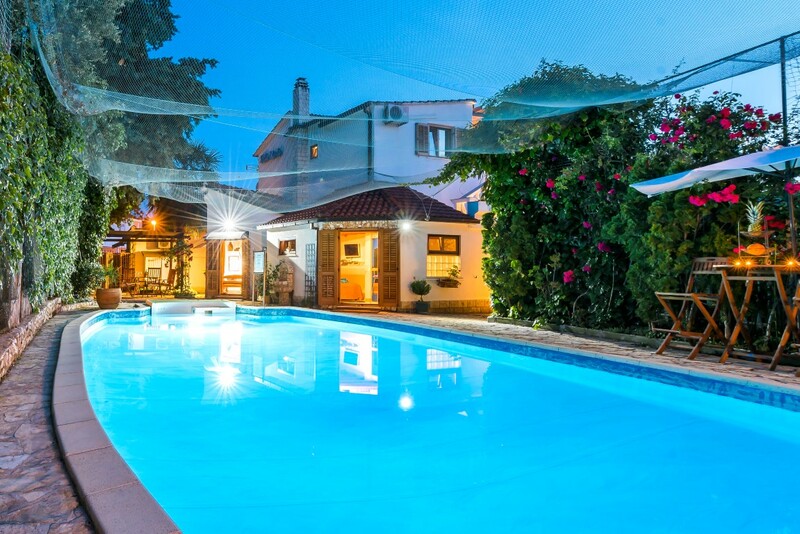 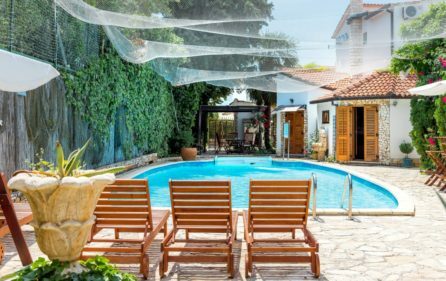 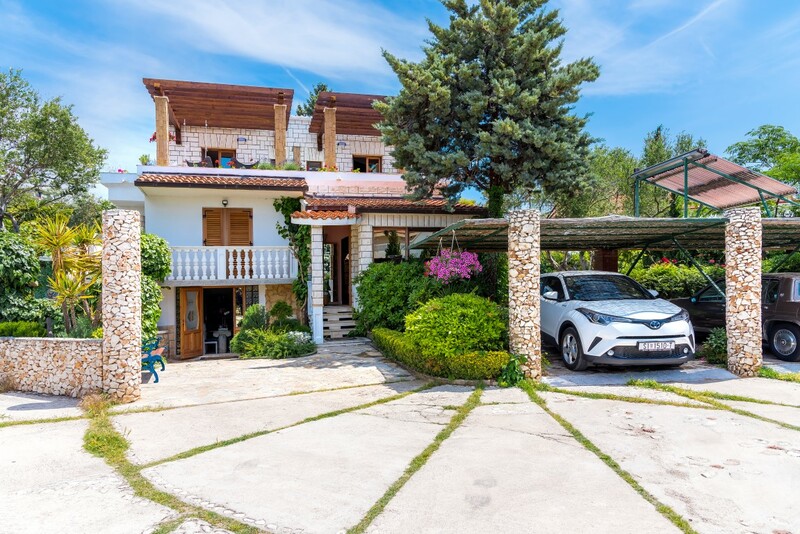 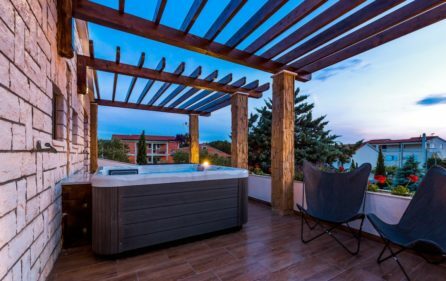 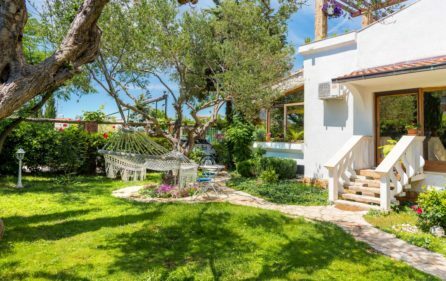 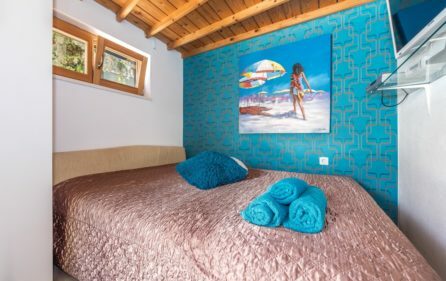 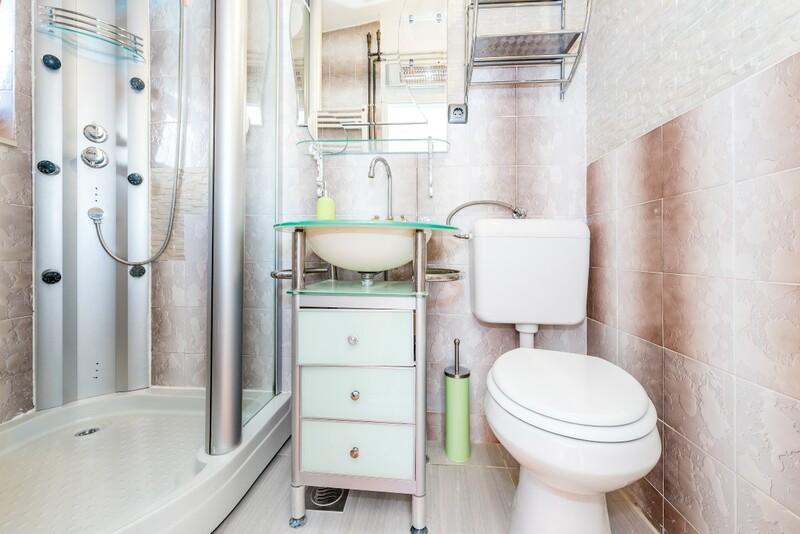 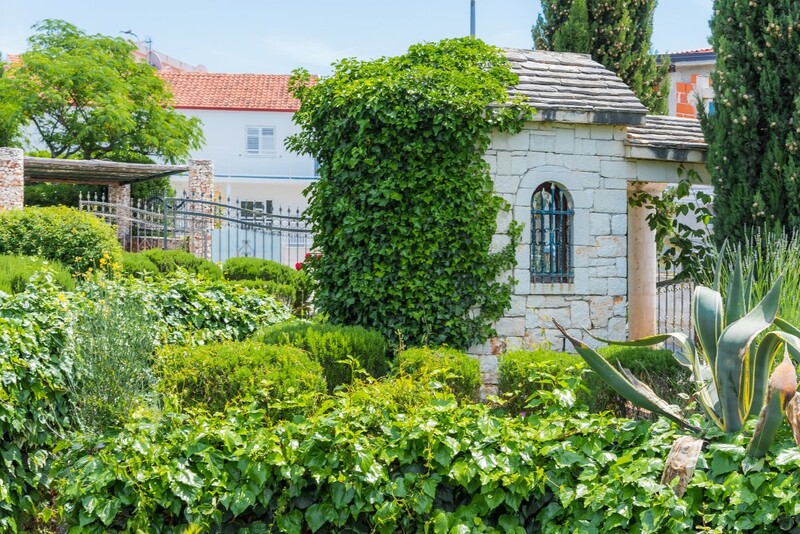 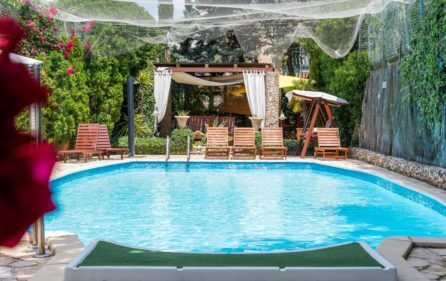 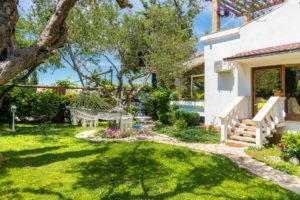 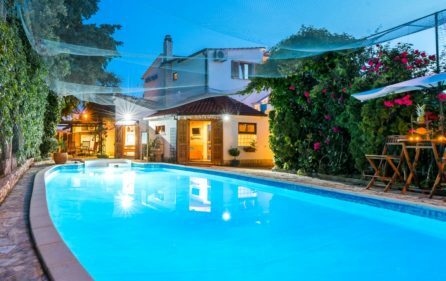 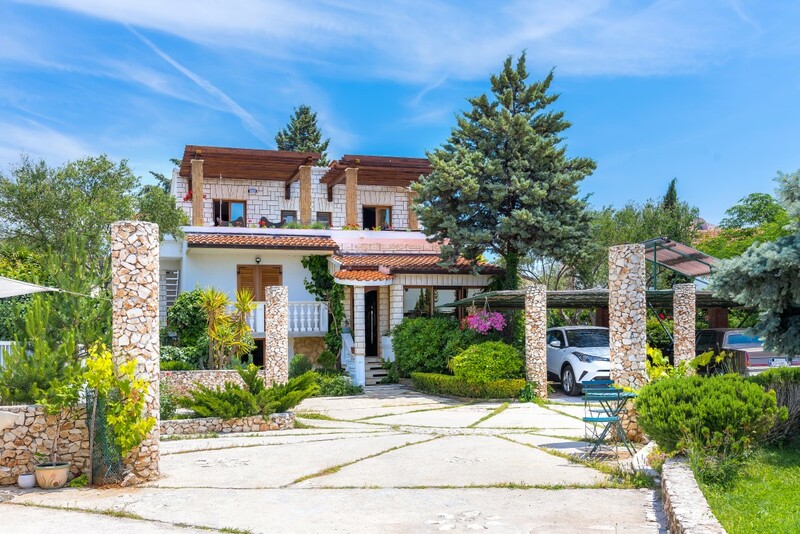 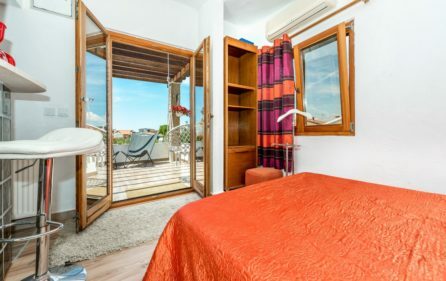 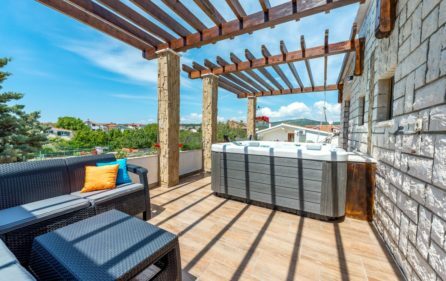 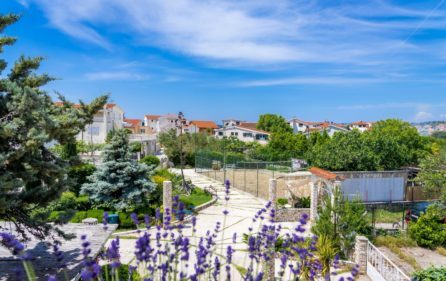 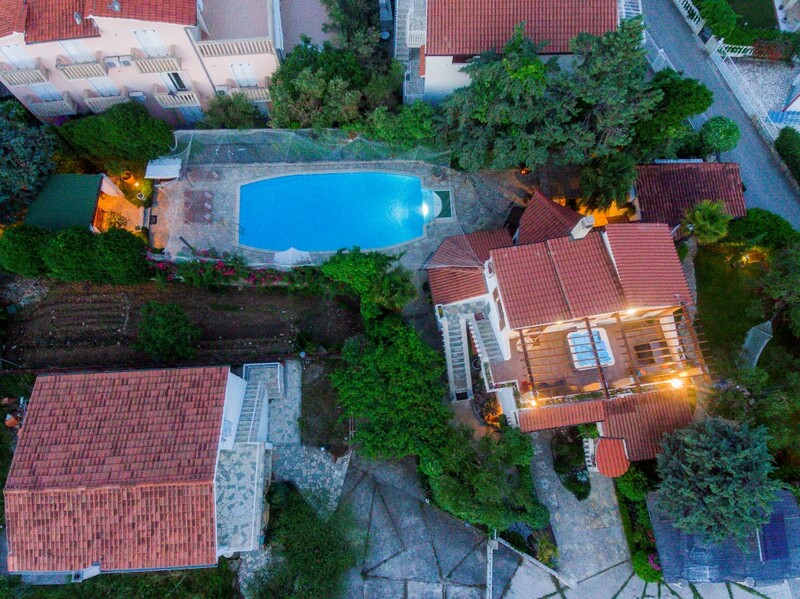 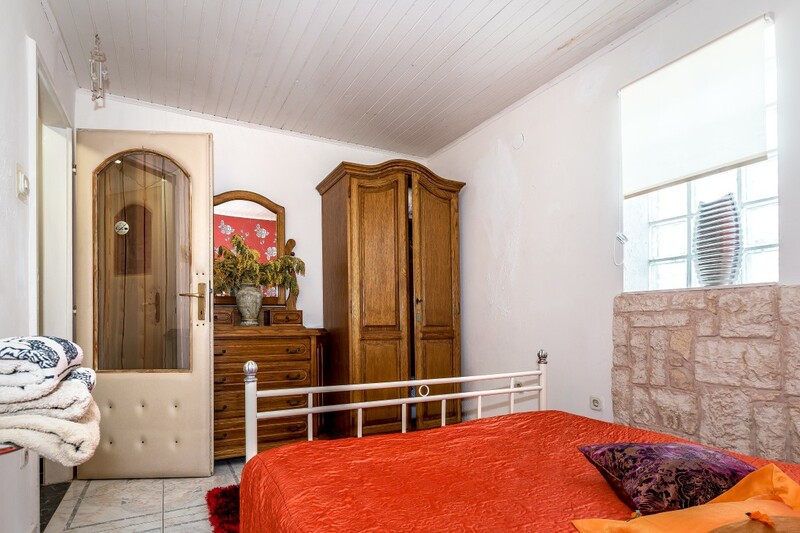 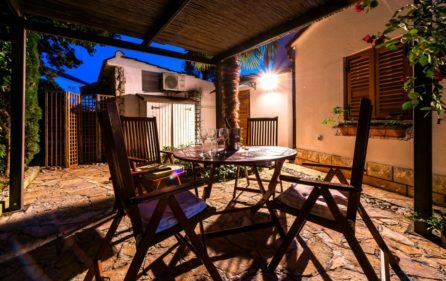 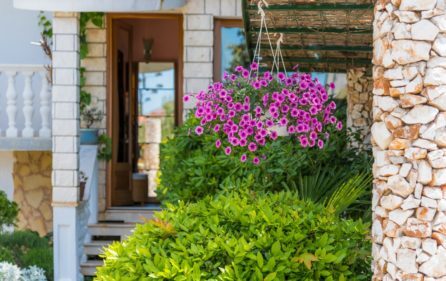 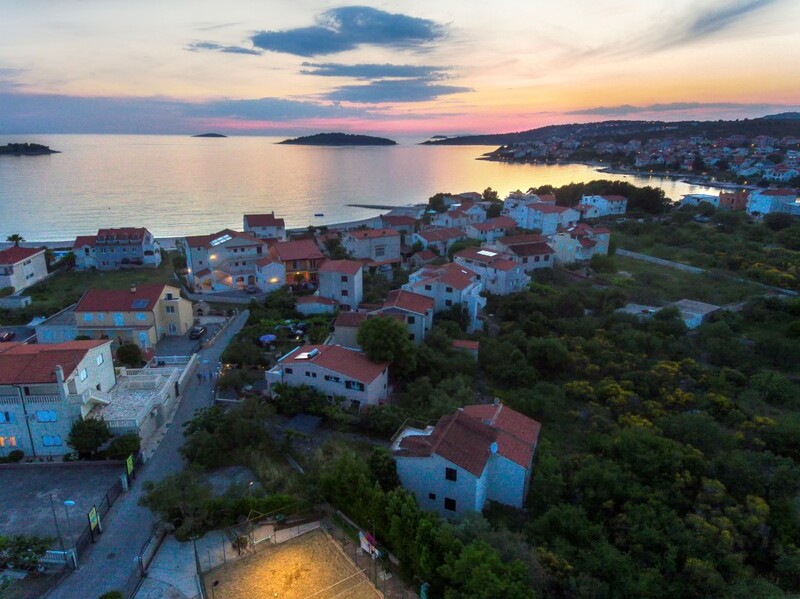 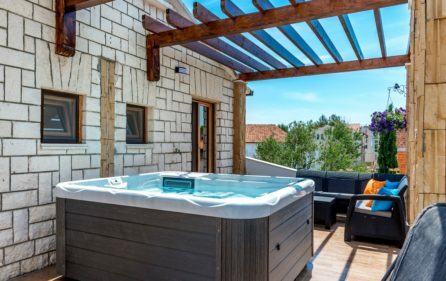 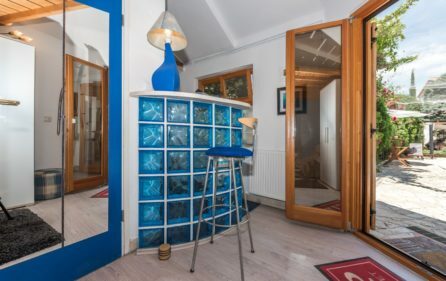 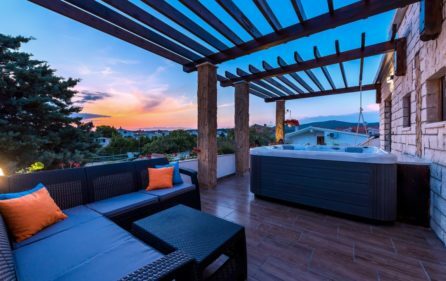 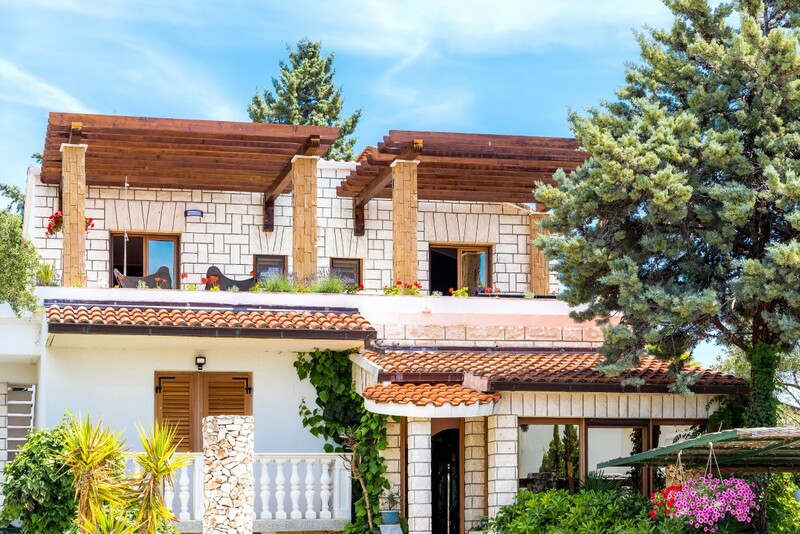 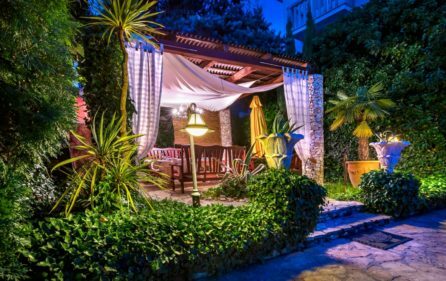 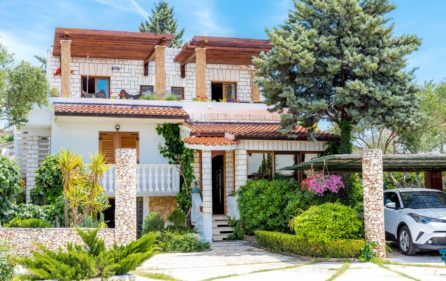 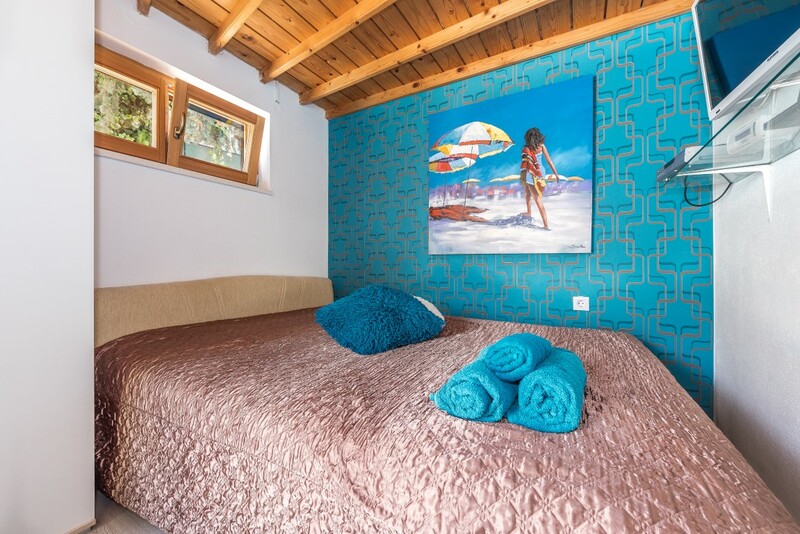 Swimming pool villa for rent near the beach, Trogir area is a spacious villa located only 100 meters away from the beach in the settlement Rogoznica. 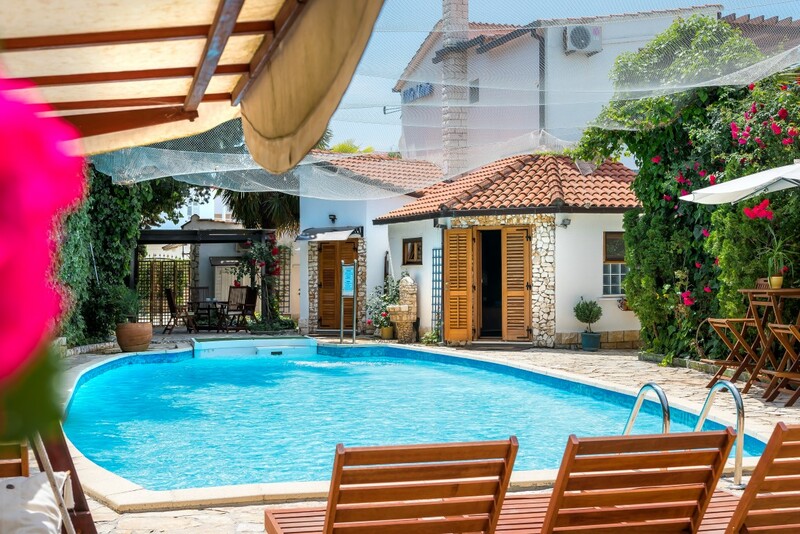 Swimming pool villa for rent can accommodate 12+2 guests. 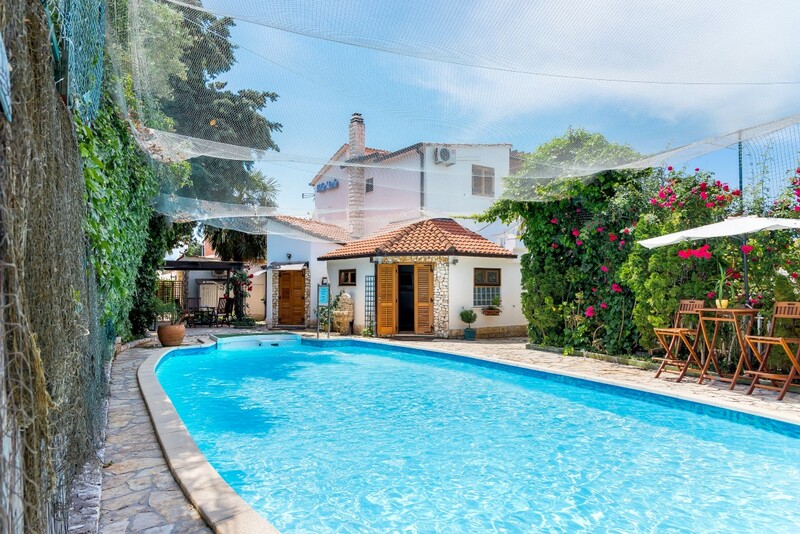 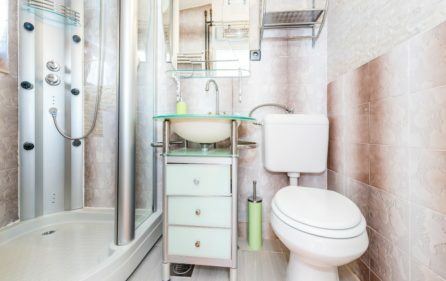 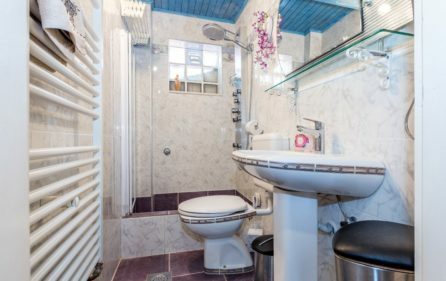 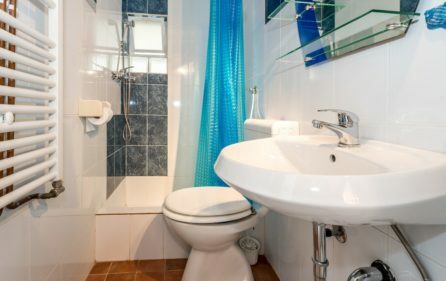 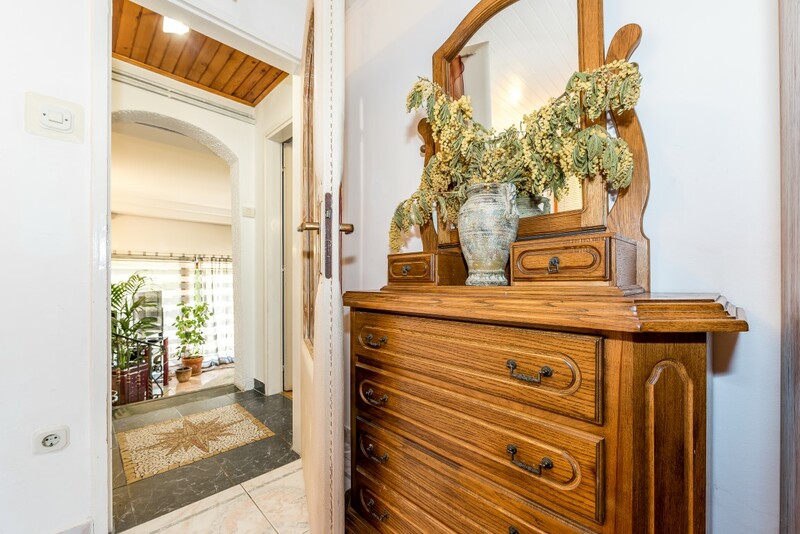 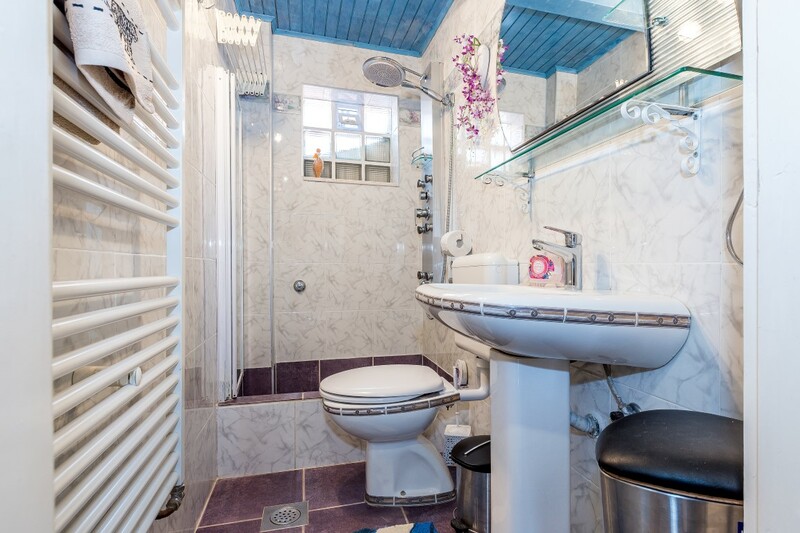 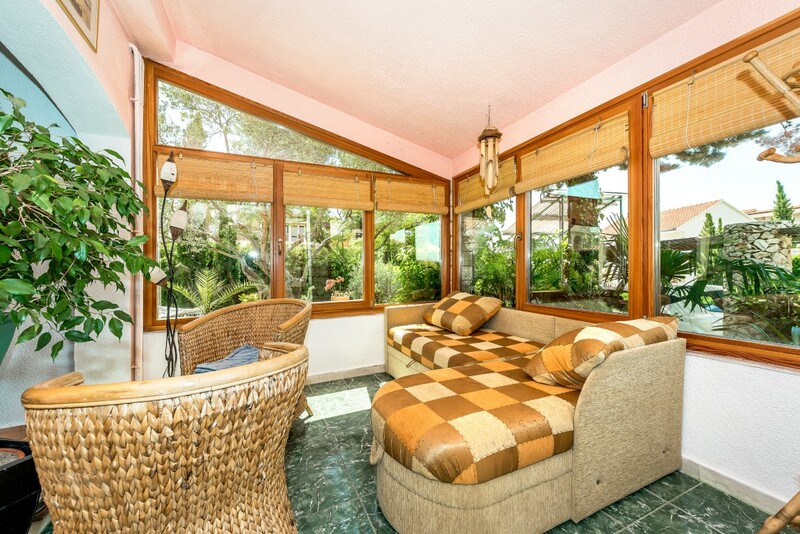 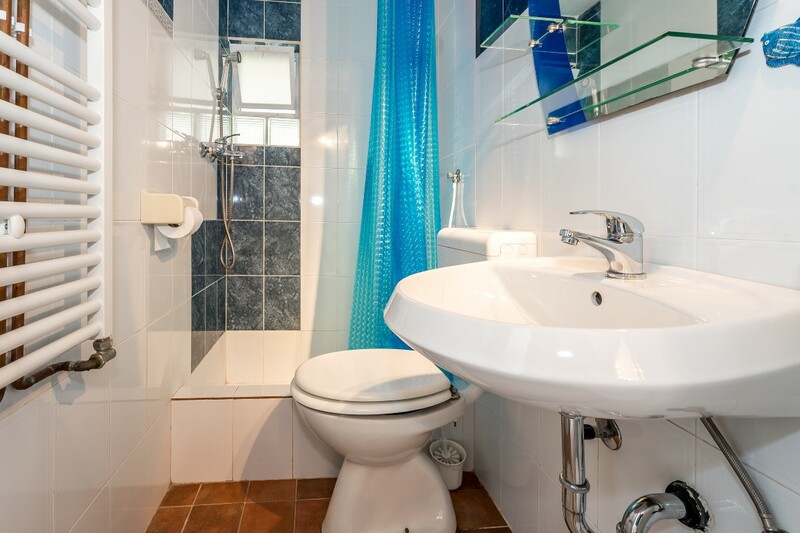 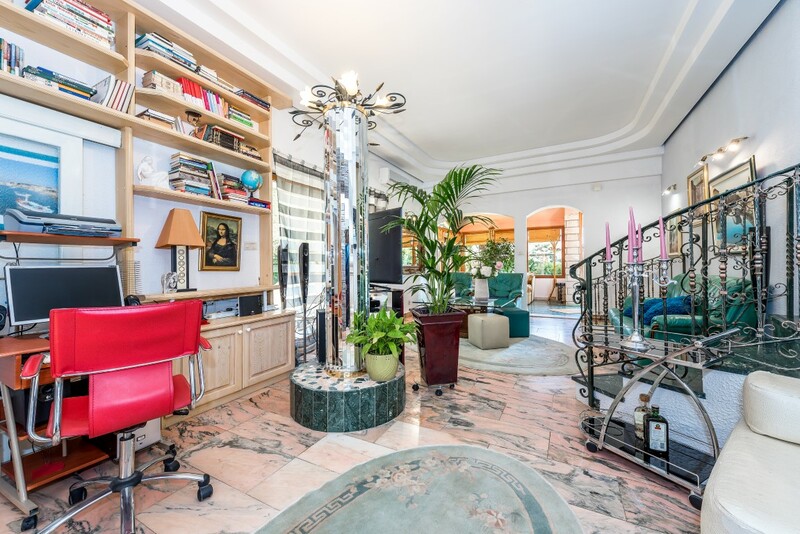 This beautiful villa features various amenities. 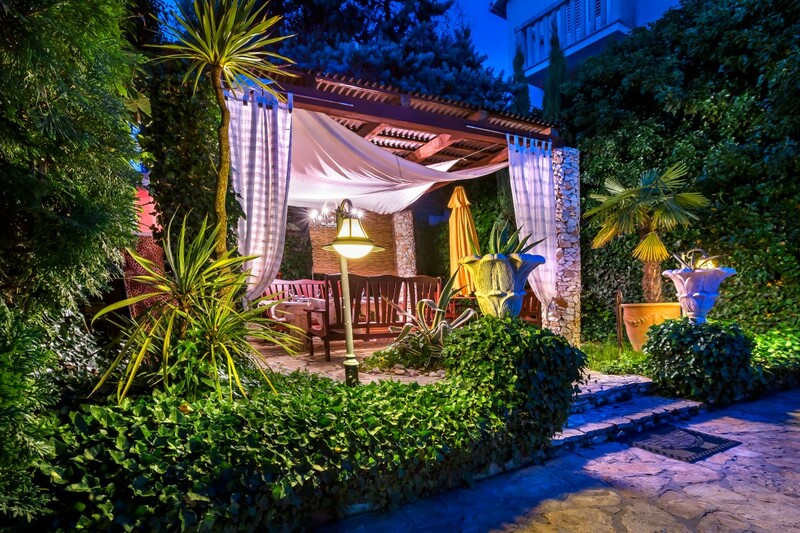 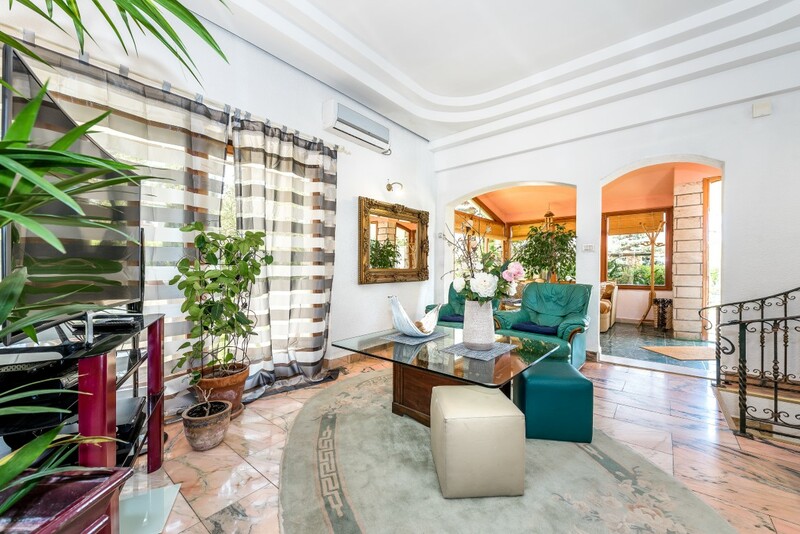 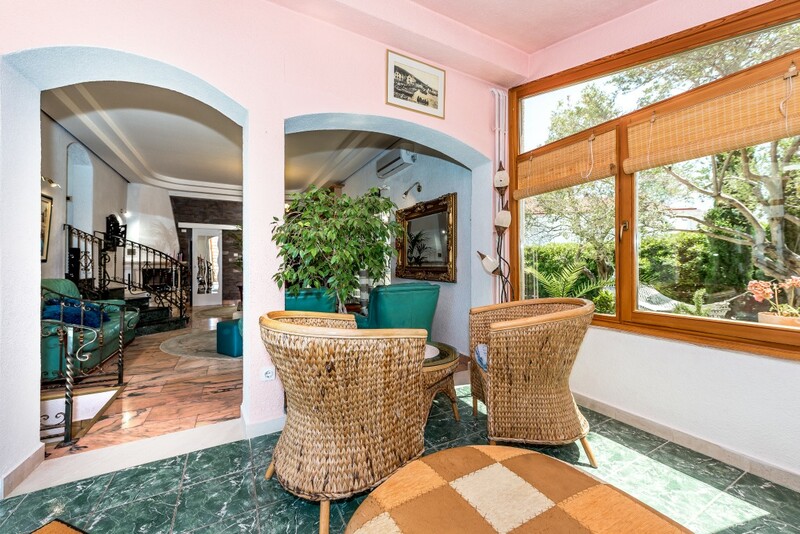 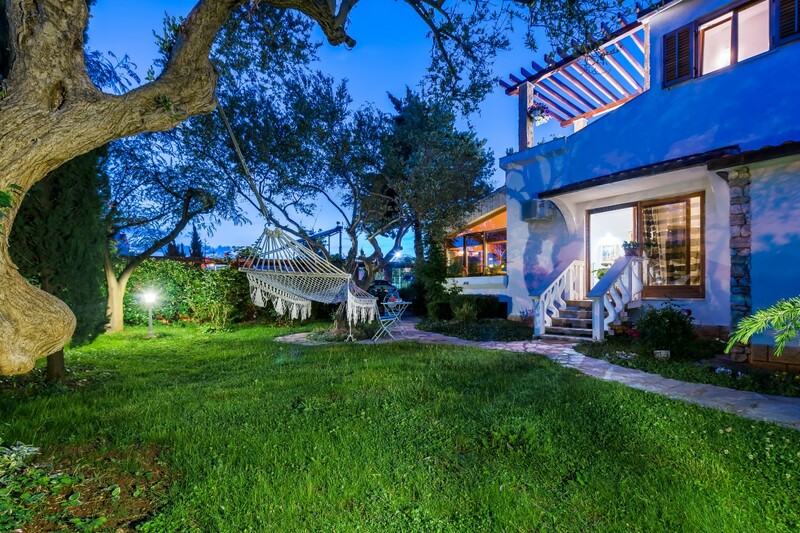 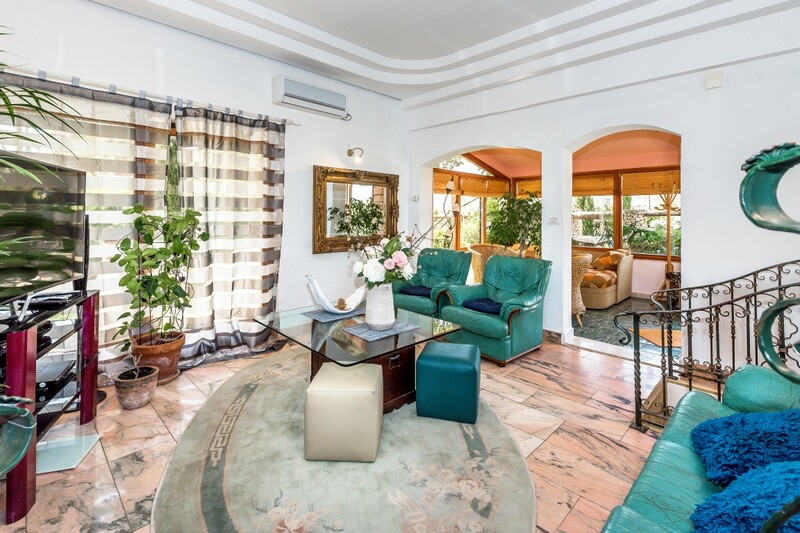 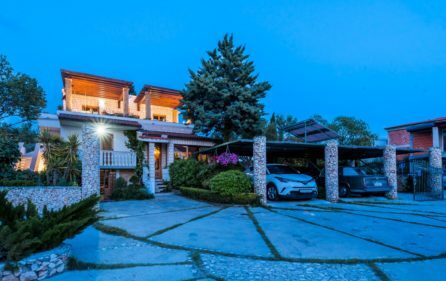 In front of this spacious villa you can park your vehicle, there is a parking place for 5 cars. 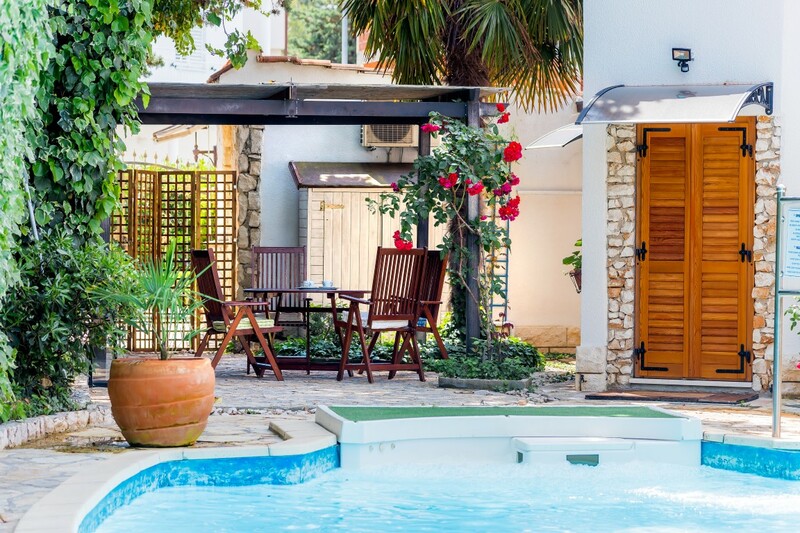 The swimming pool villa is surrounded by greenery and has two gardens. 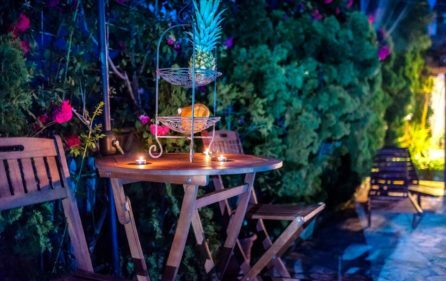 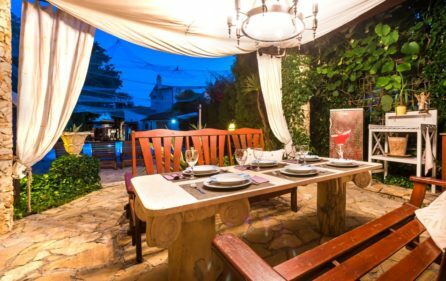 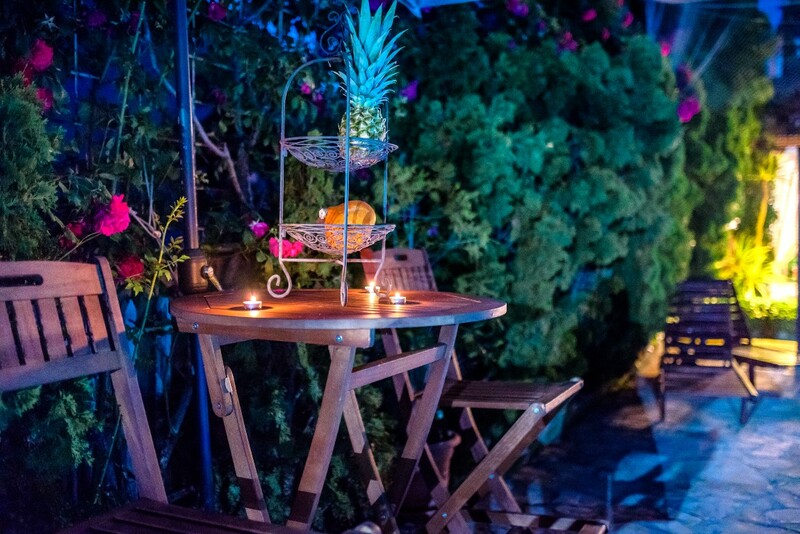 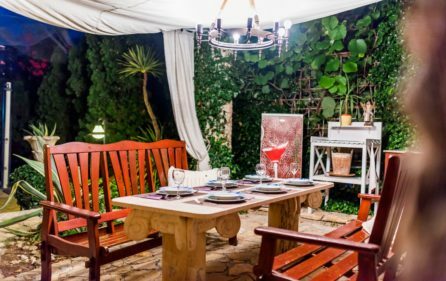 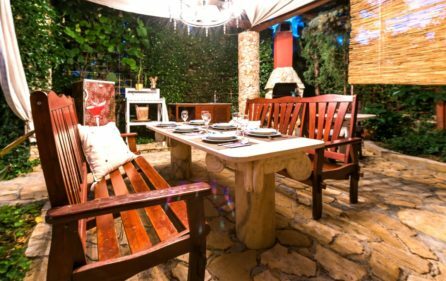 One garden has a shaded lounge area and in another, there is an open-air dining area so you can enjoy your meals in the open fresh air. 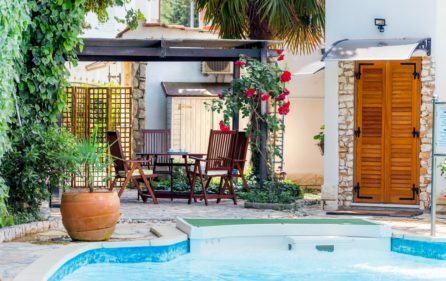 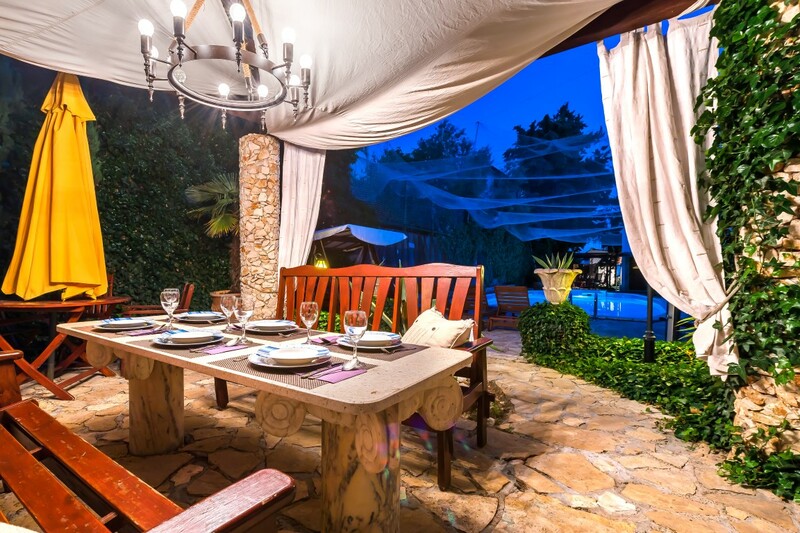 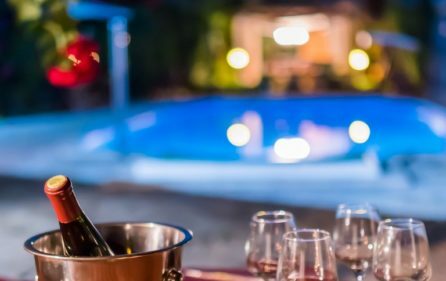 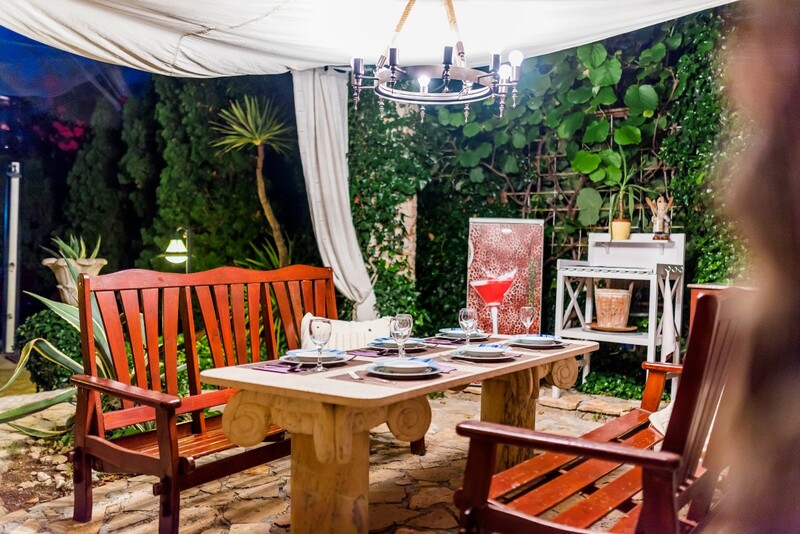 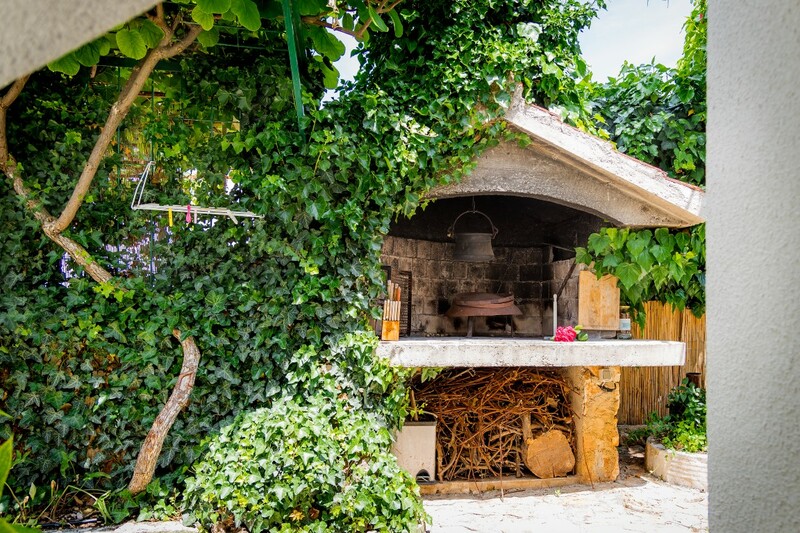 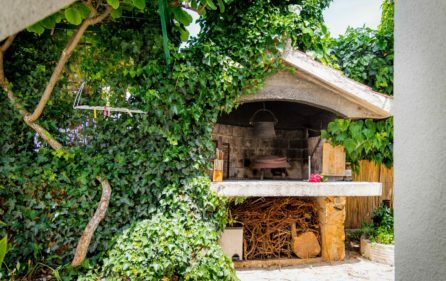 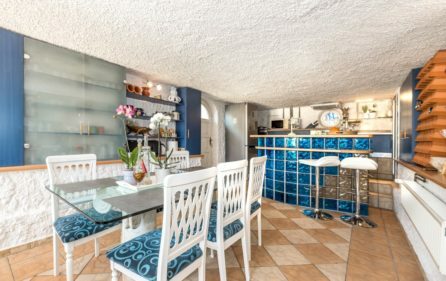 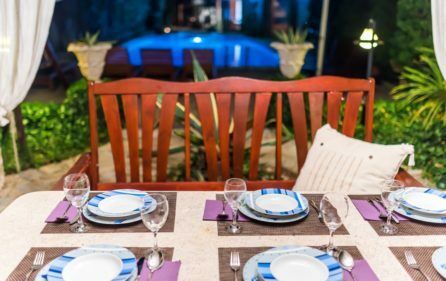 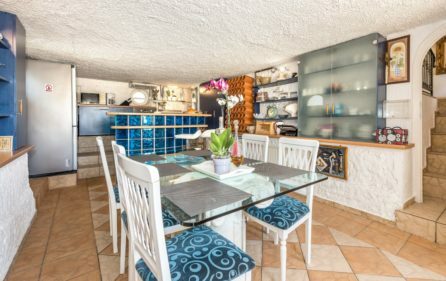 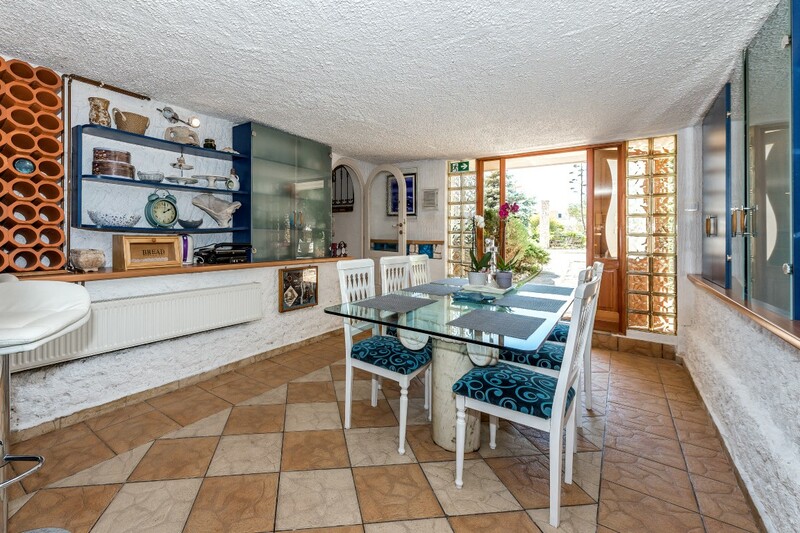 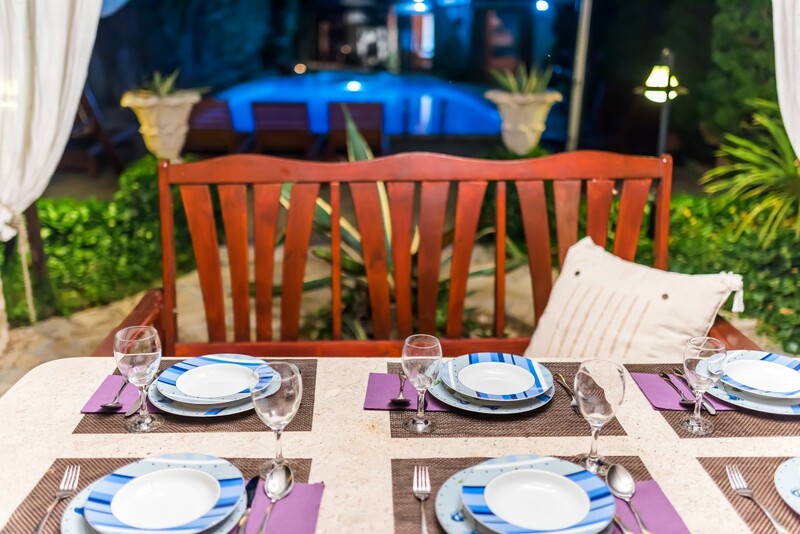 This great villa features an outdoor summer kitchen with a big dining table, fireplace, dishes, sink, and electric barbecue and an outdoor swimming pool. 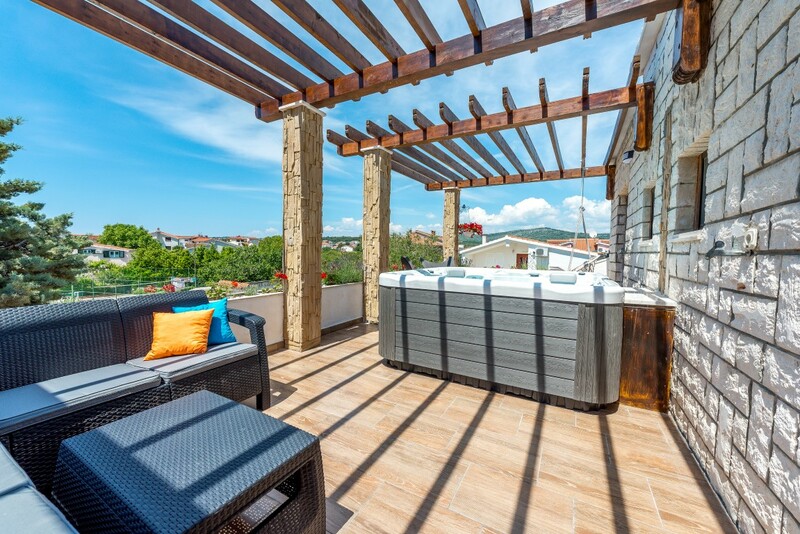 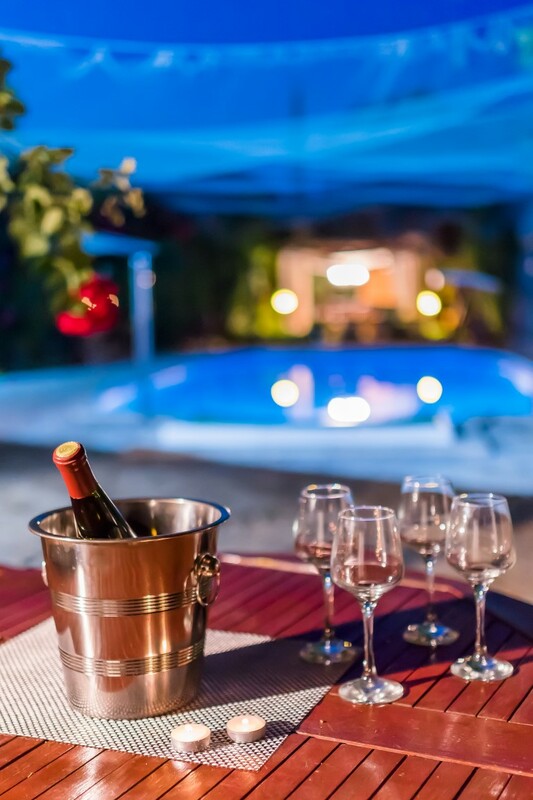 Villa has also a terrace with an outdoor whirlpool for 5 persons. 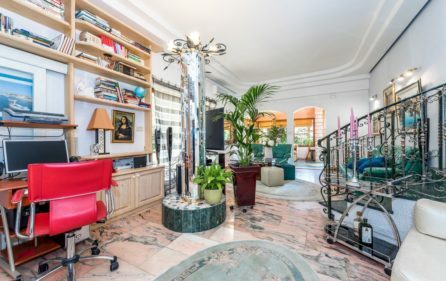 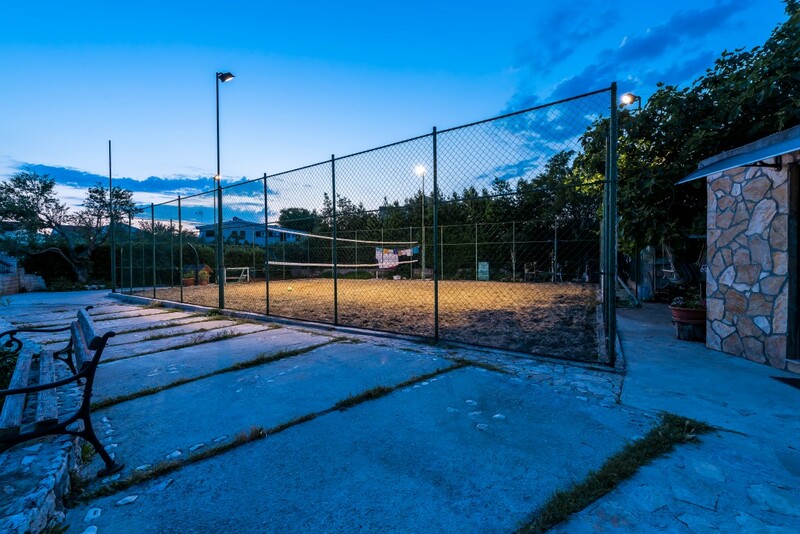 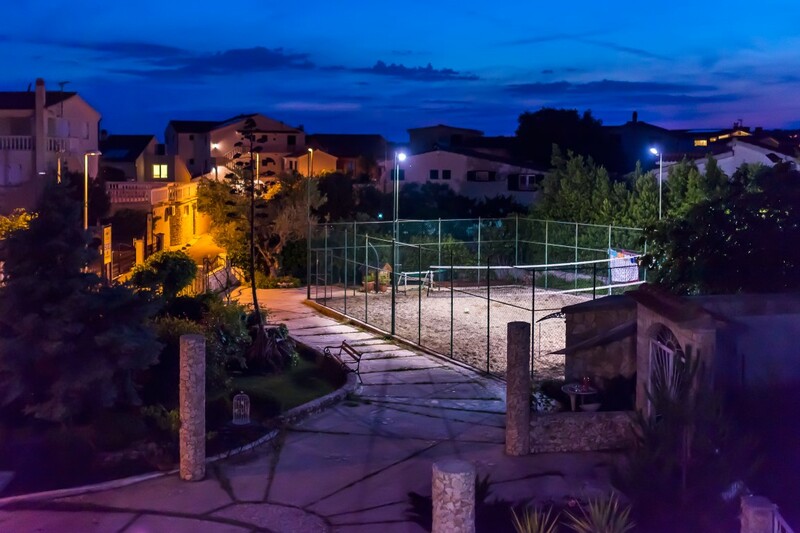 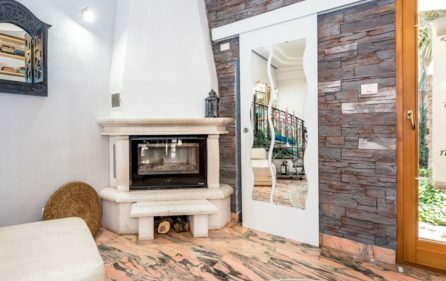 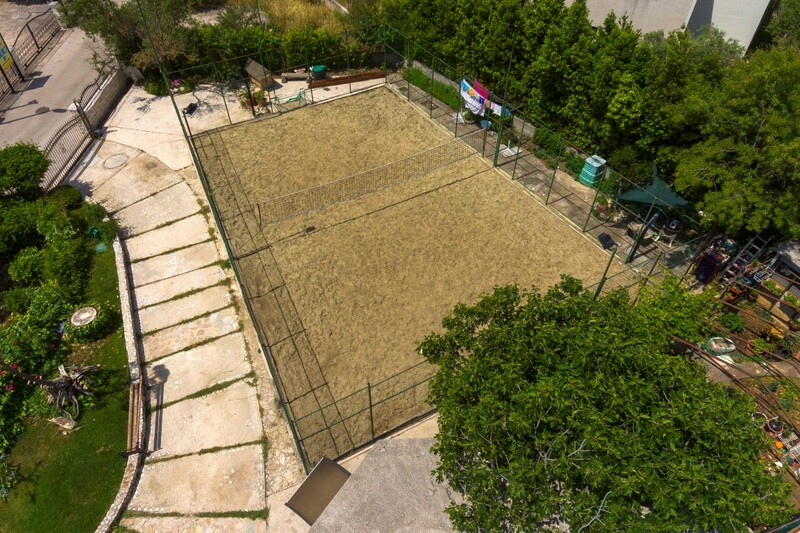 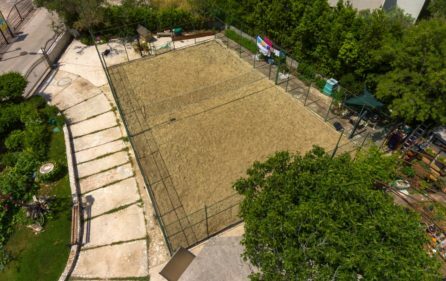 This villa is also unique because it offers volleyball and football sand court. 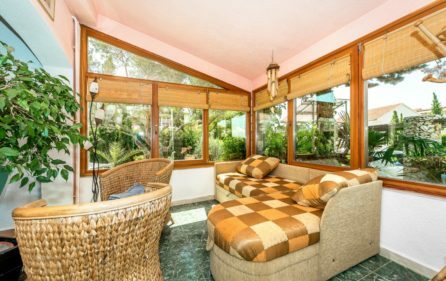 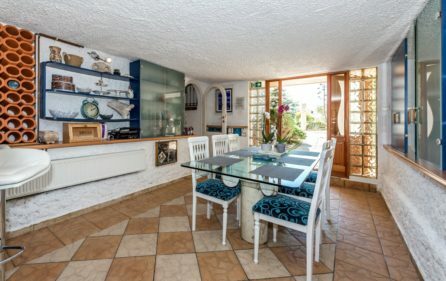 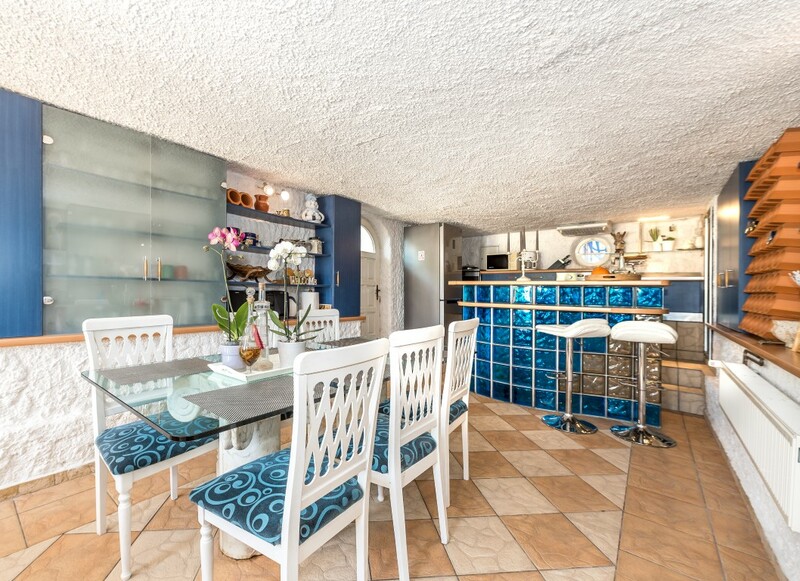 Inside of this great swimming pool villa, there is a big kitchen with all the features such as microwave oven, dishwasher, stove, kettle, coffee maker, ice machine, toaster, juicer, and fridge. 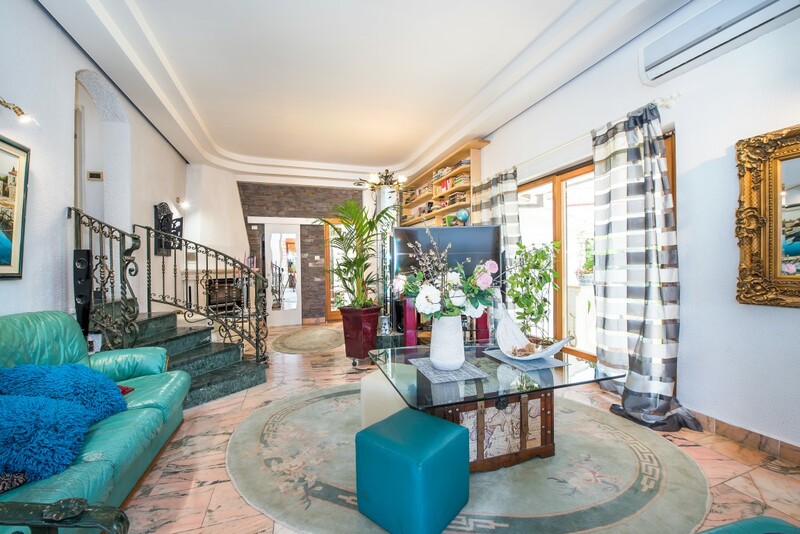 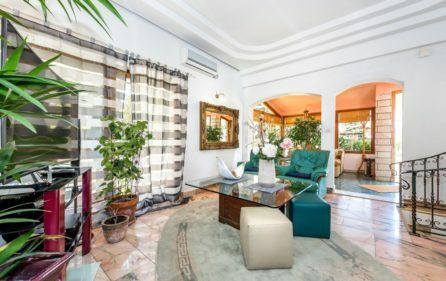 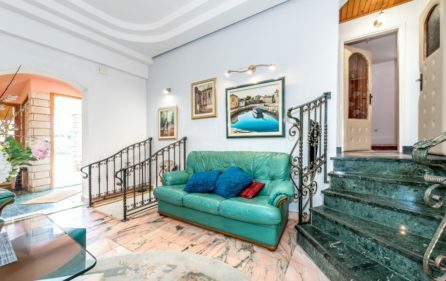 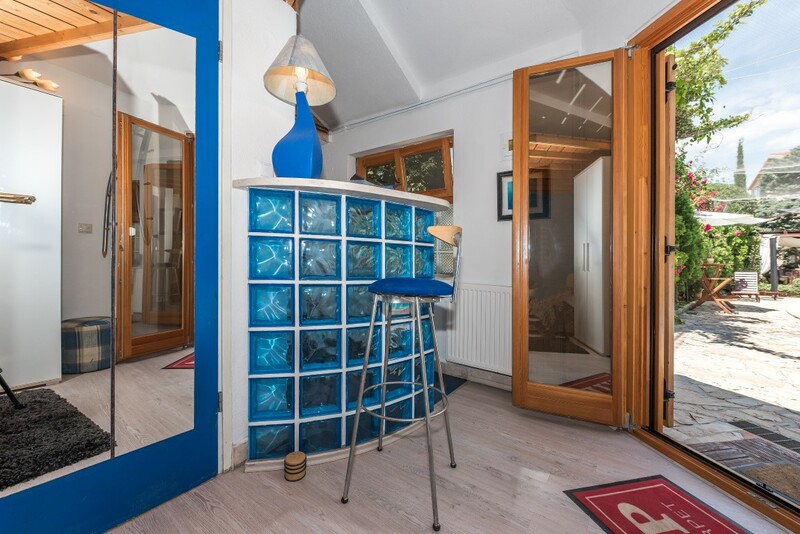 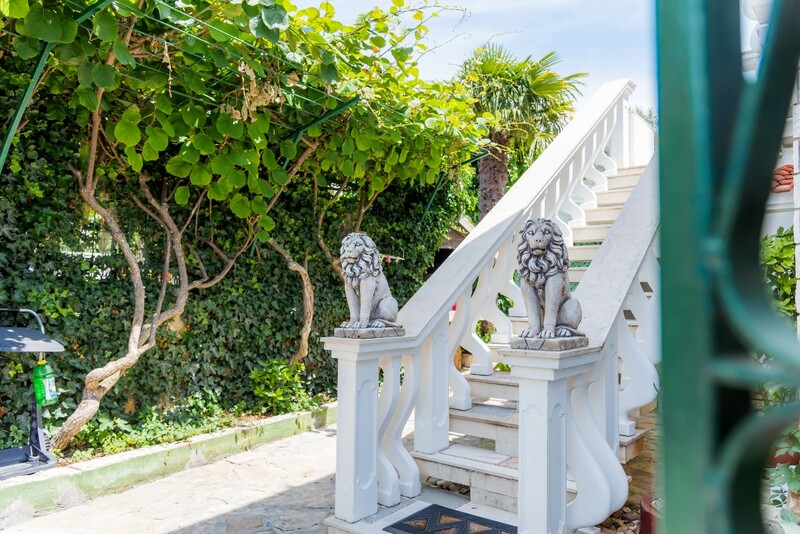 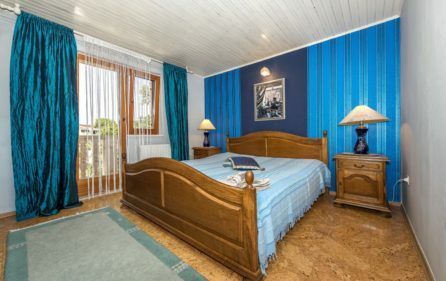 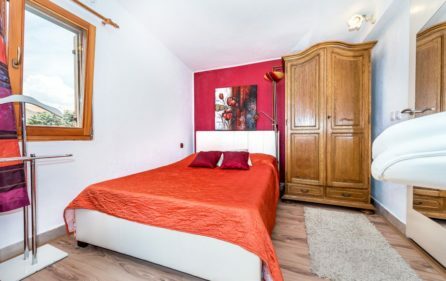 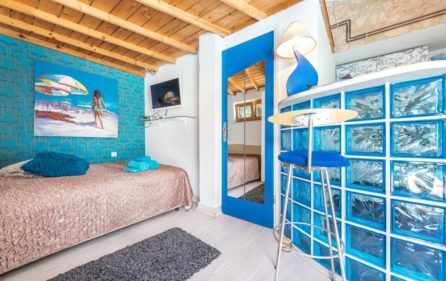 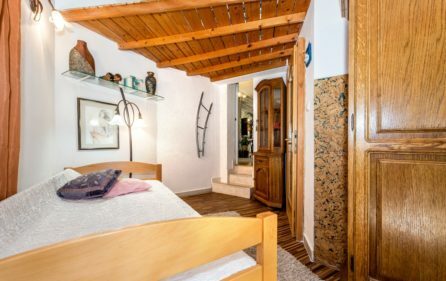 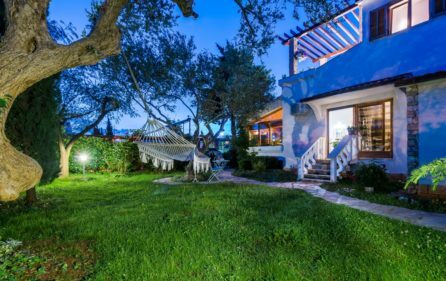 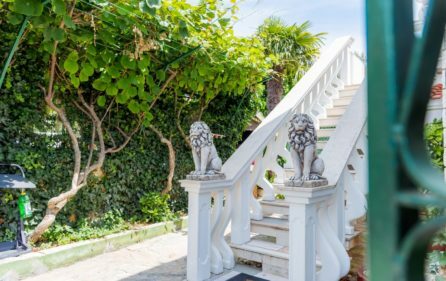 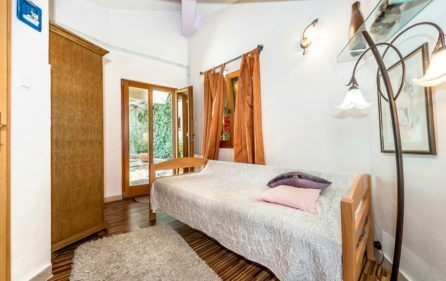 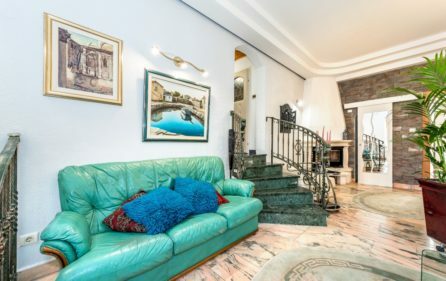 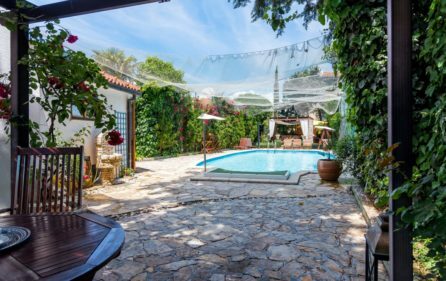 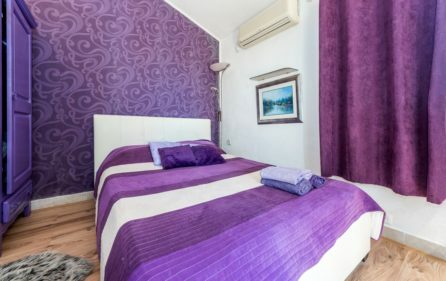 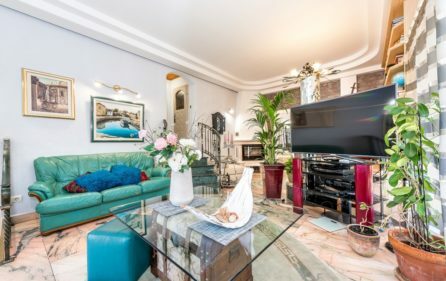 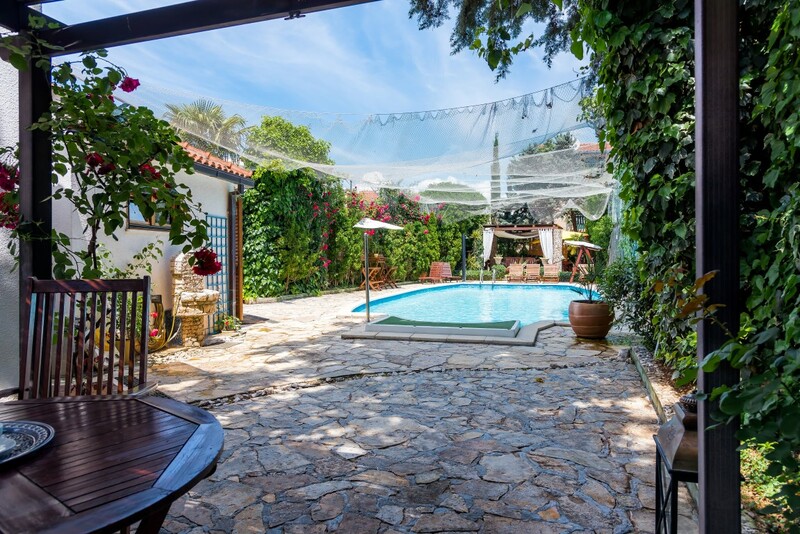 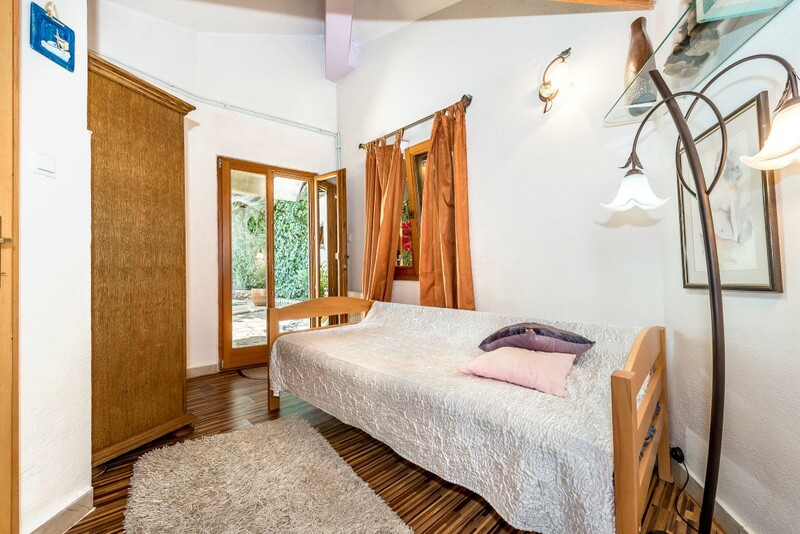 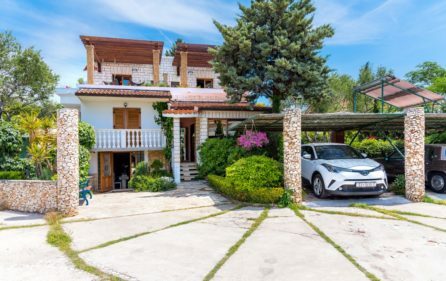 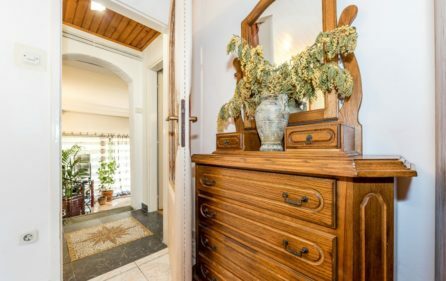 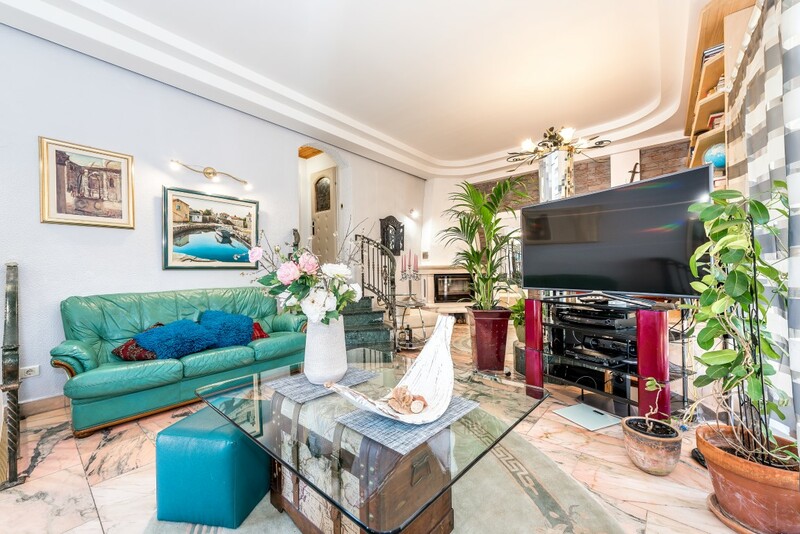 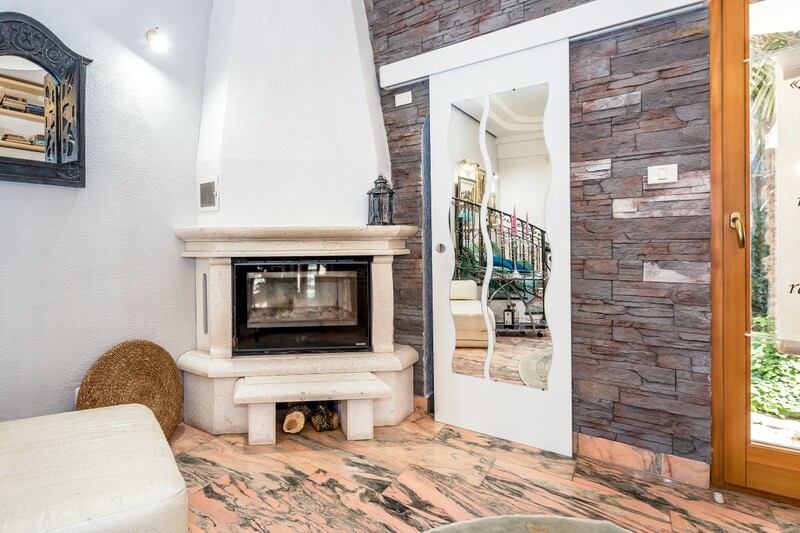 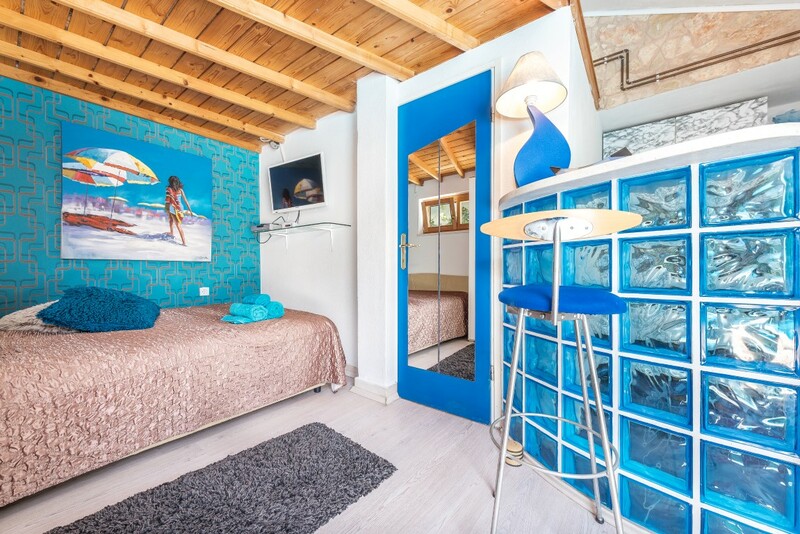 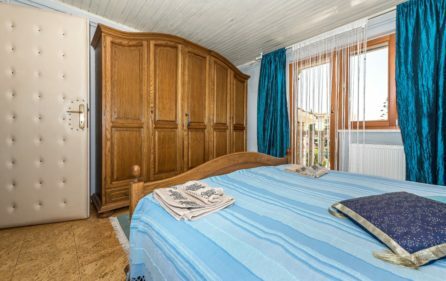 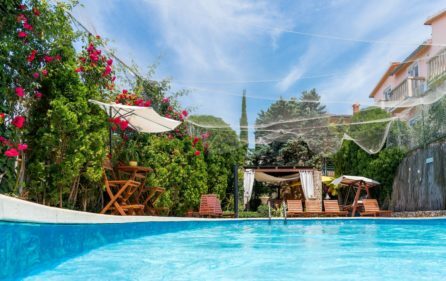 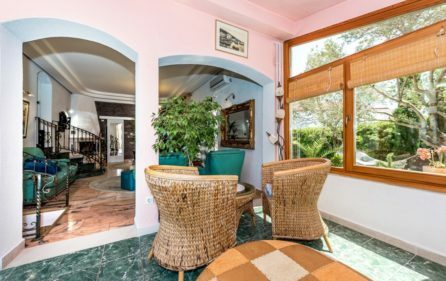 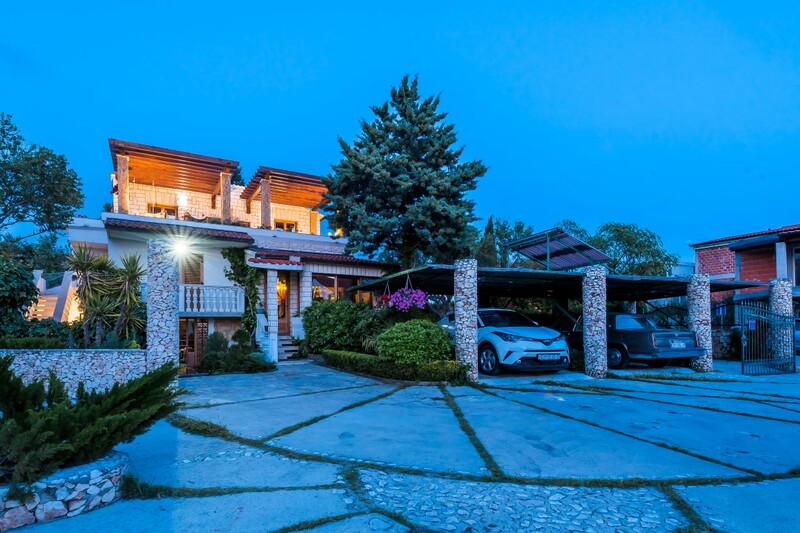 Villa with swimming pool has 7 bedrooms -5 double bed bedrooms for two guests and two single bed bedrooms, and for extra two guests, there is an additional sofa bed. 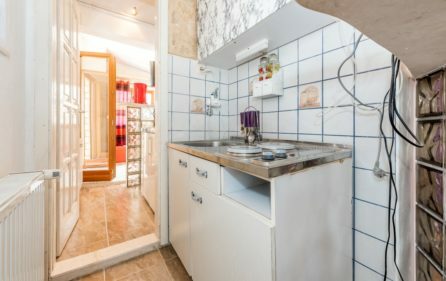 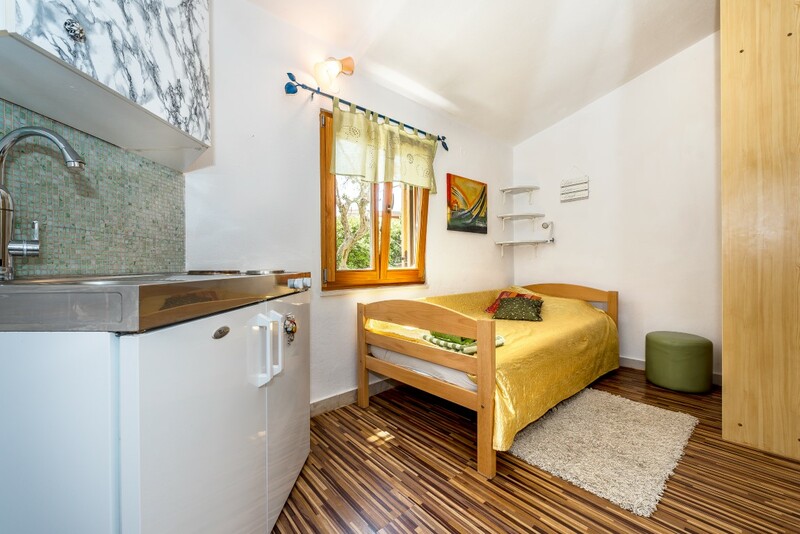 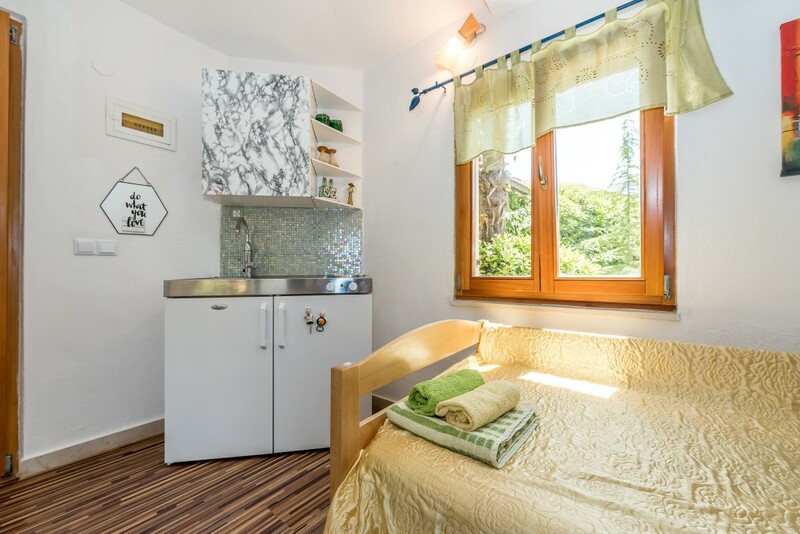 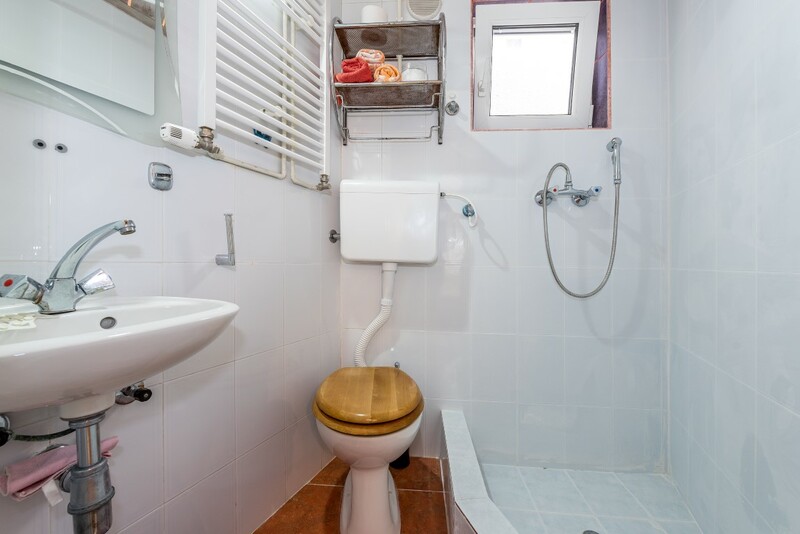 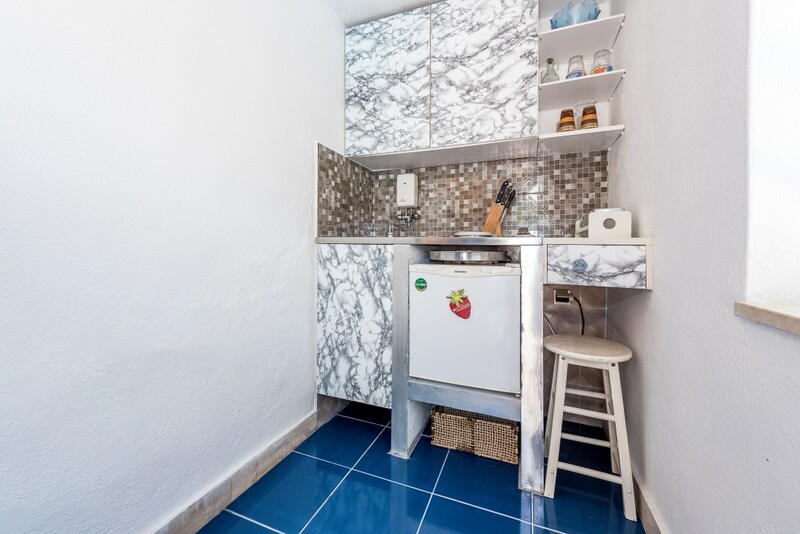 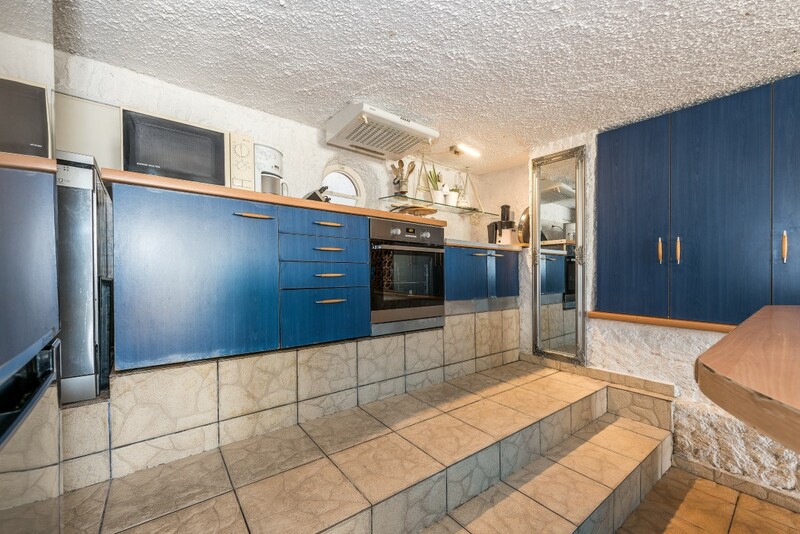 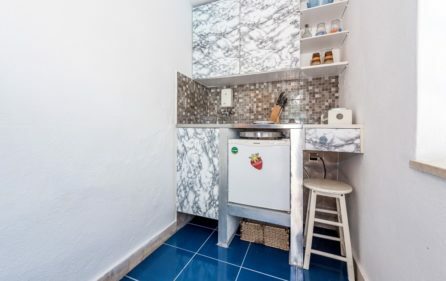 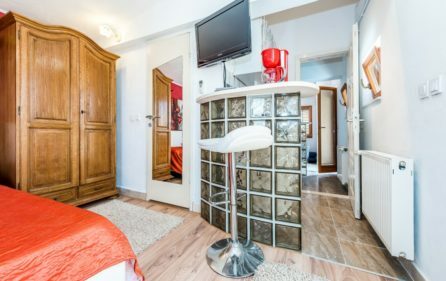 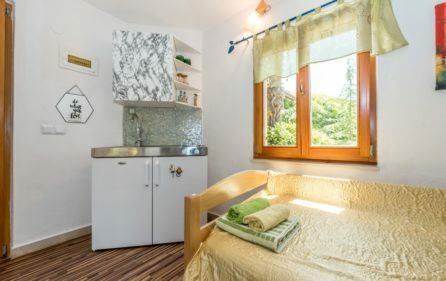 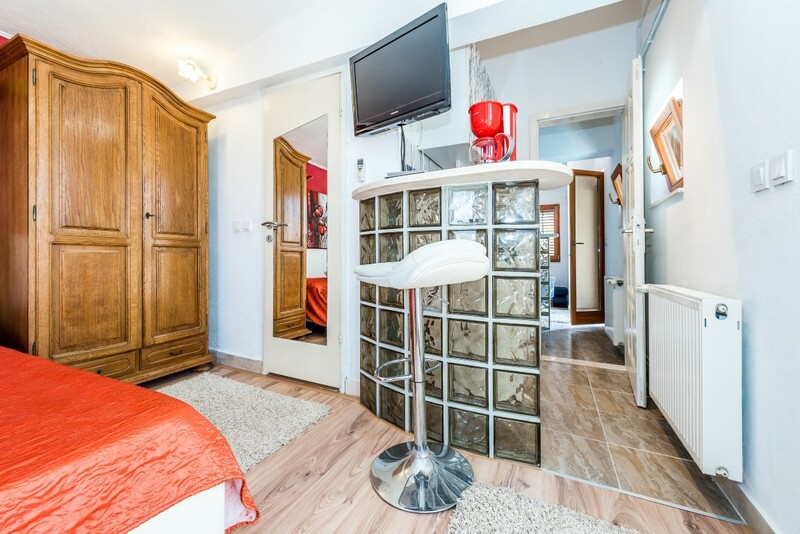 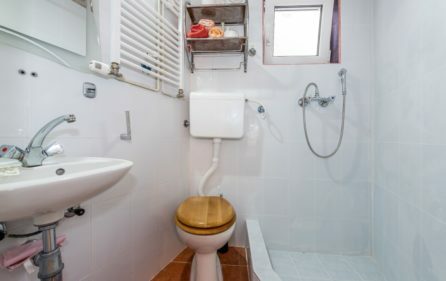 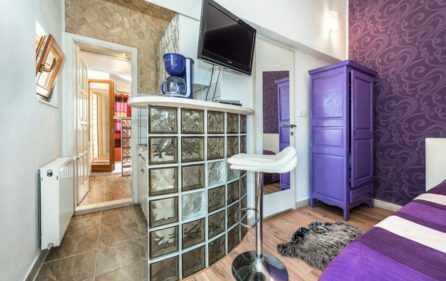 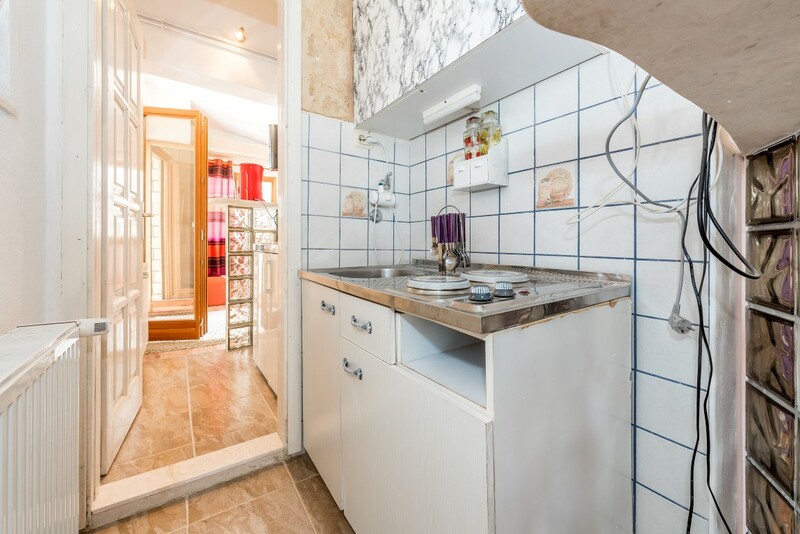 The are three bedrooms in which you can find a cute little tea kitchen. 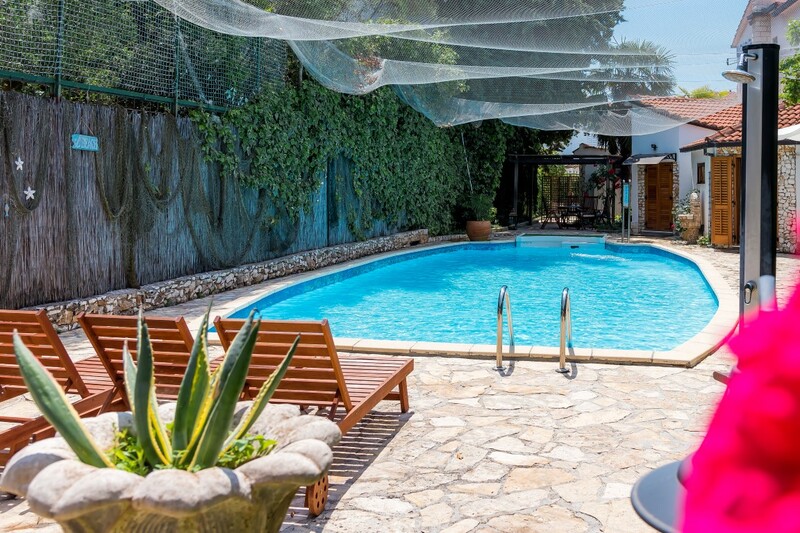 In this spacious swimming pool villa, you can find 6 bathrooms with shower cabins. Villa with swimming pool has a great spacious living room that features all the amenities you need, it has SAT TV, a computer, books, sofa, speakers, air condition and central heat. 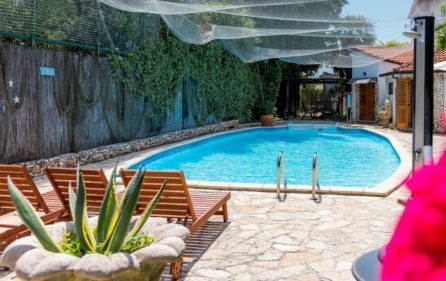 This great swimming pool villa also has a doctors office detached with it, so in case of an injury, doctors help will be given immediately.